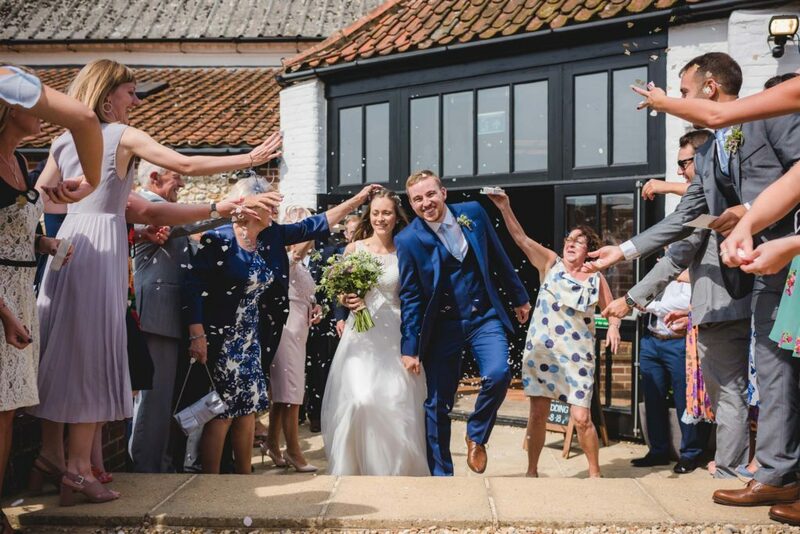 Jenny & Mark’s wedding was the second time I’d photographed at the delightful Sussex Barn wedding venue in Norfolk, and what a superb day it was! 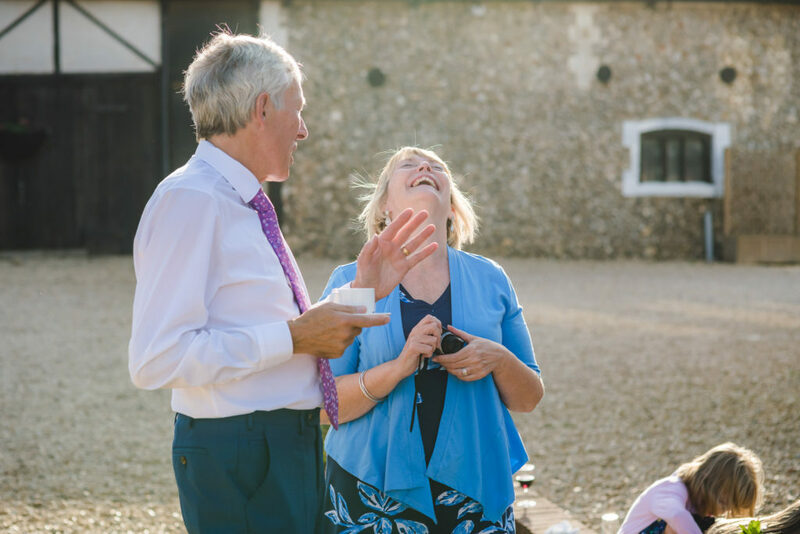 I first met Jenny & Mark in a coffee shop in Peterborough when we got together to discuss their plans. 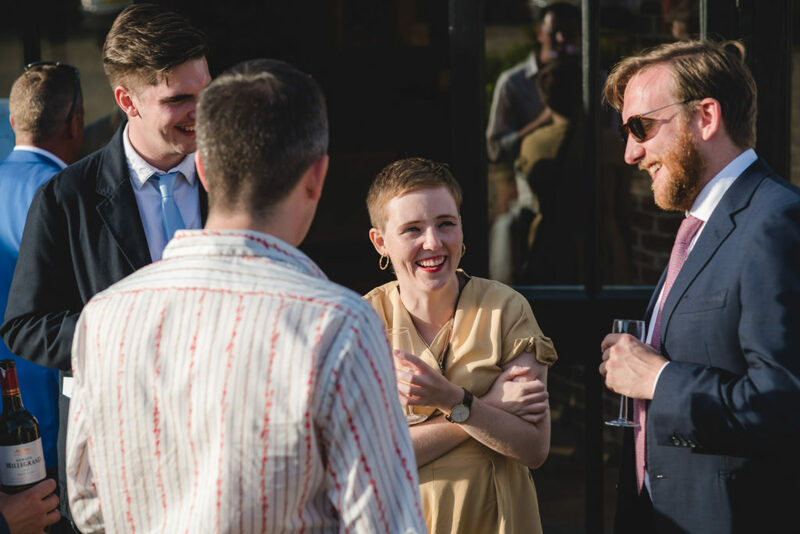 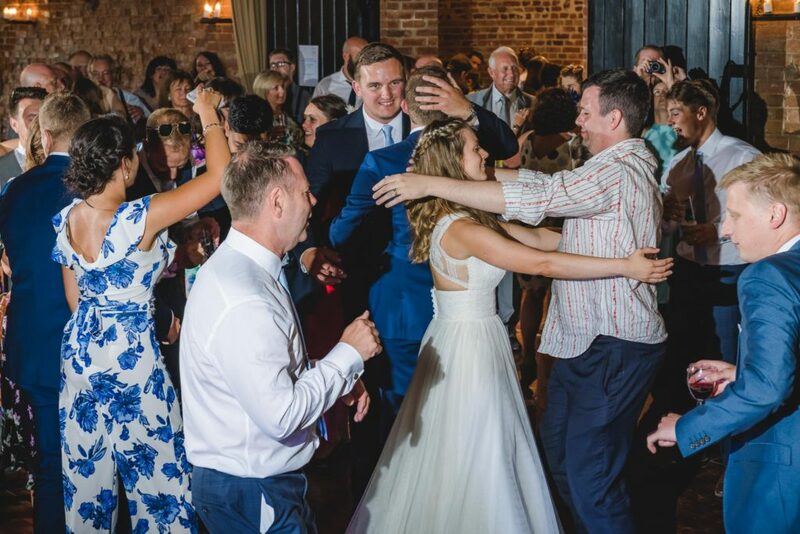 I knew instantly that it’d be a really fun wedding to be part of. 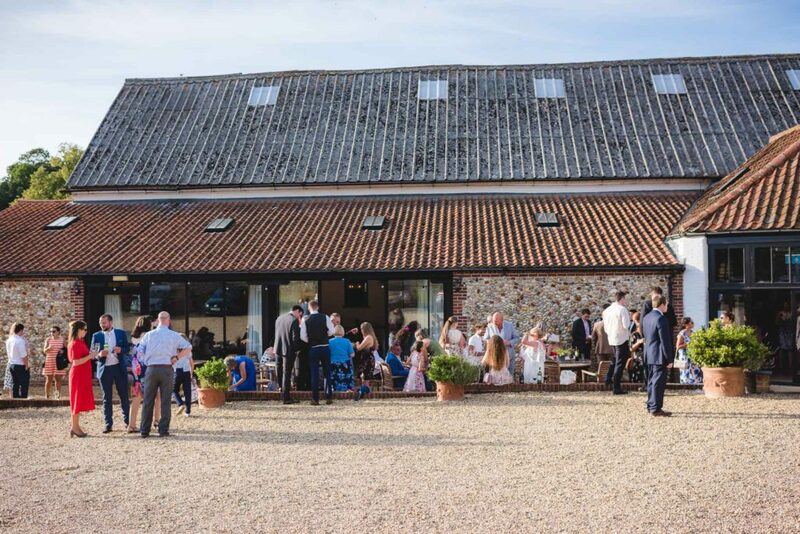 I was also keen to return to Sussex Barn as it’s a great wedding venue with lots of rural charm and plenty of locations for photography. 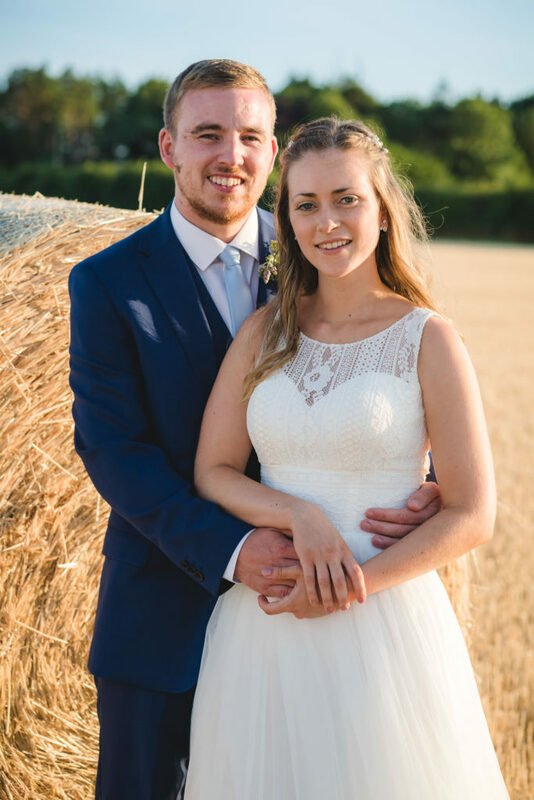 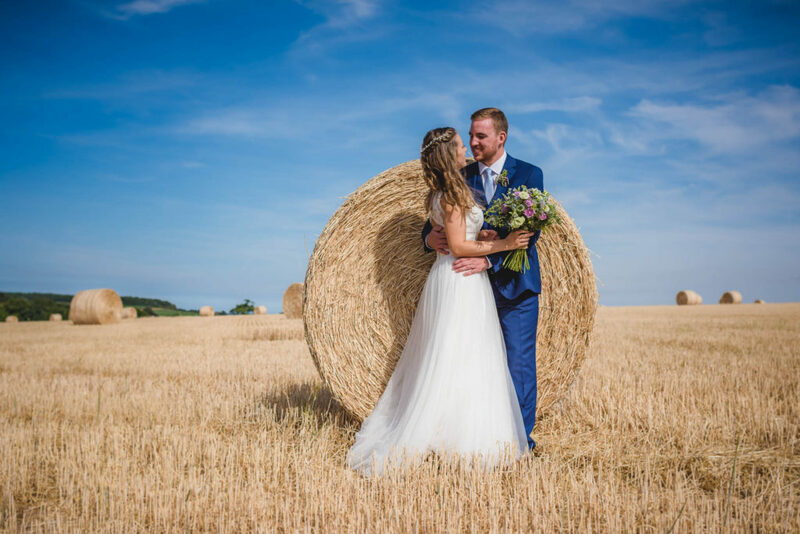 As this wedding was at the start of August the surrounding cornfields had been harvested and we were left with hay bales and stubble. 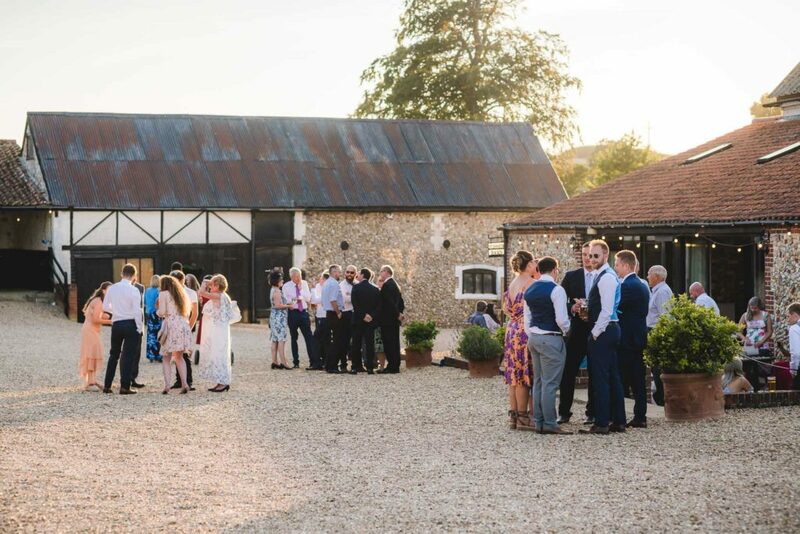 The perfect place to practice a first dance in the early evening sun! 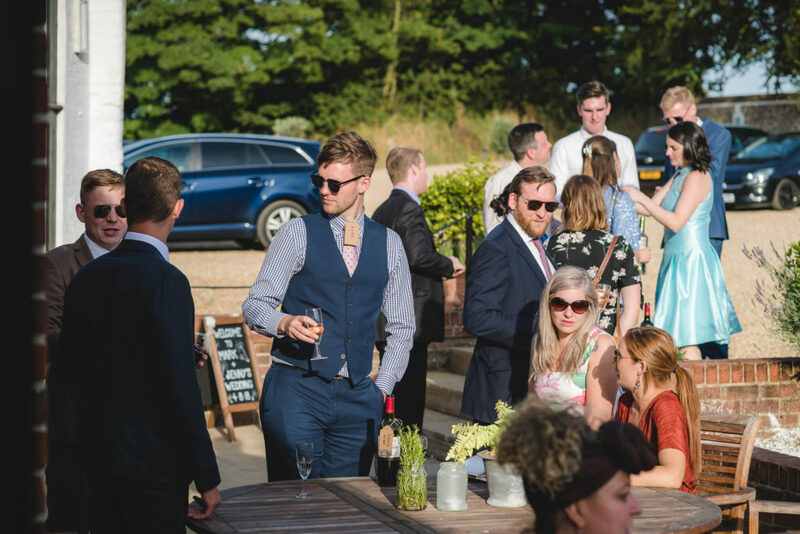 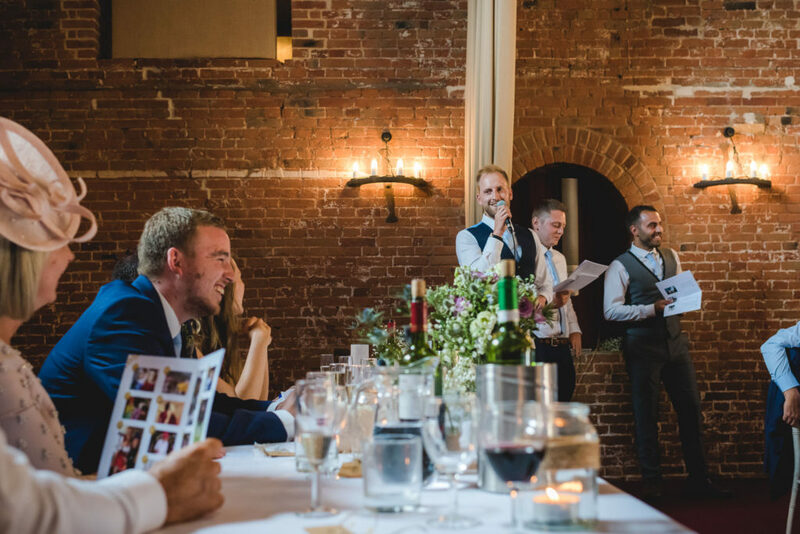 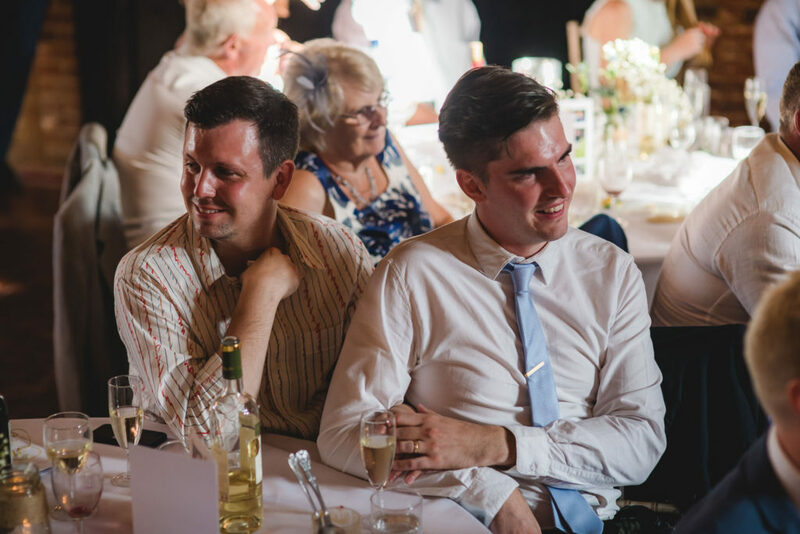 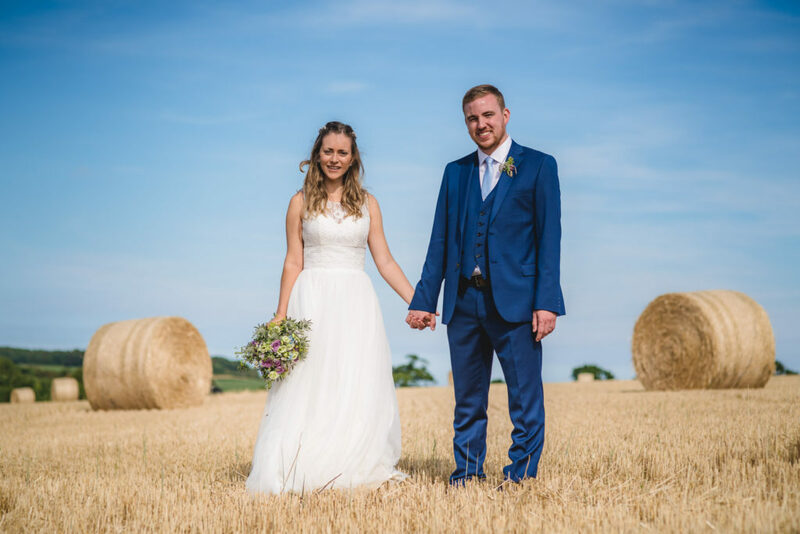 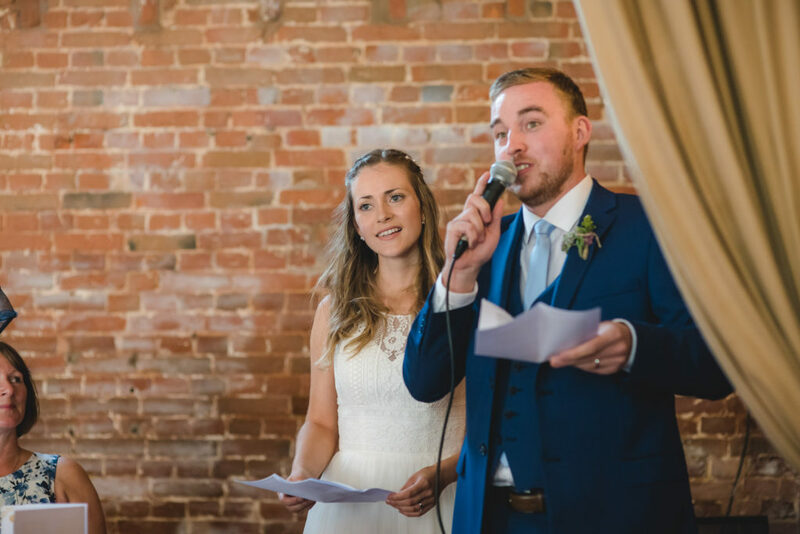 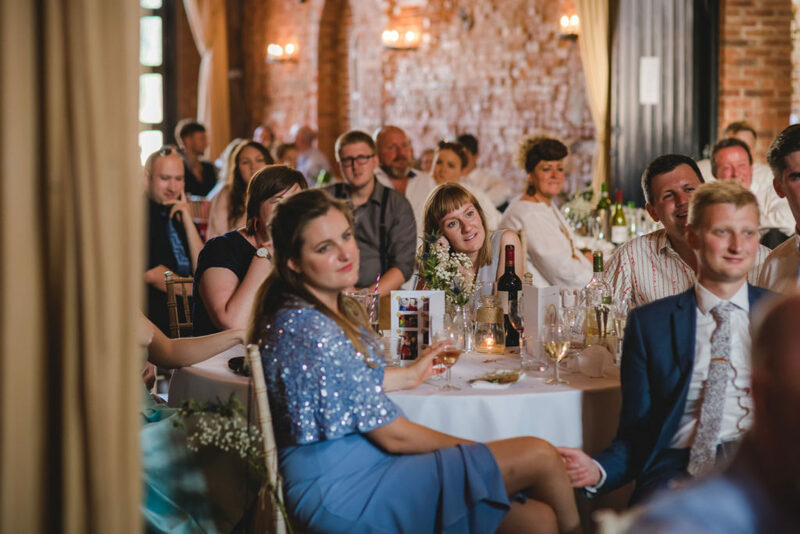 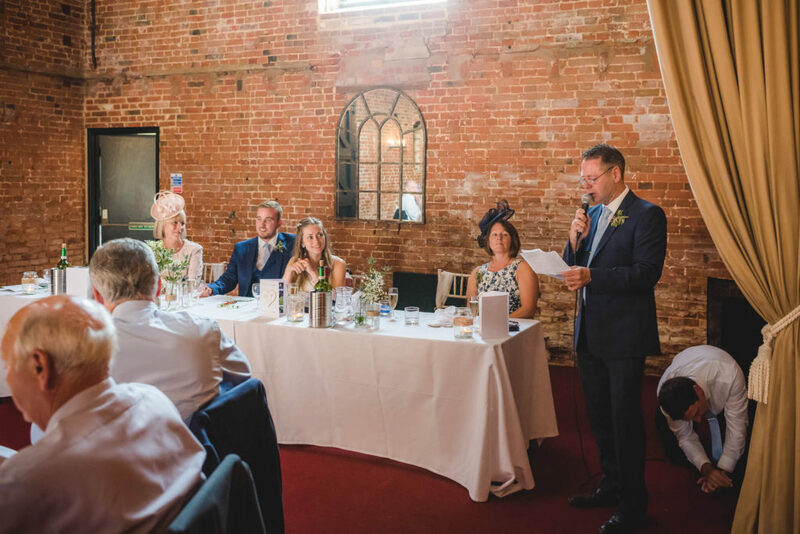 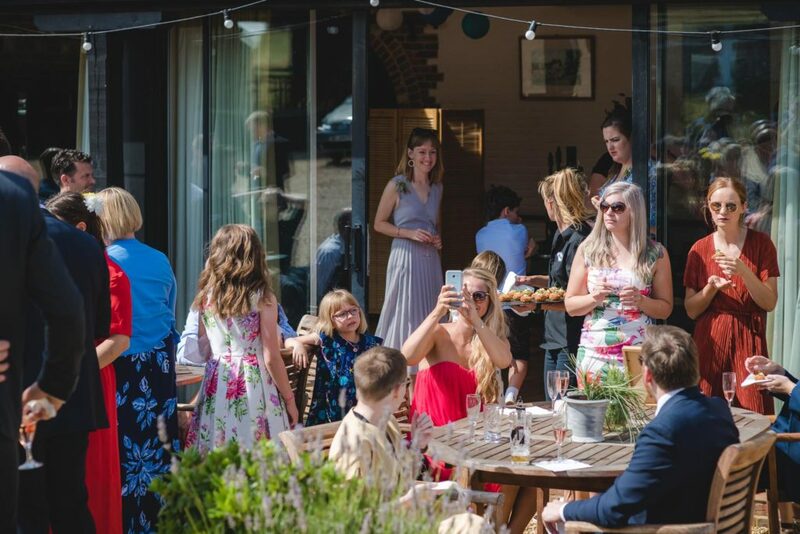 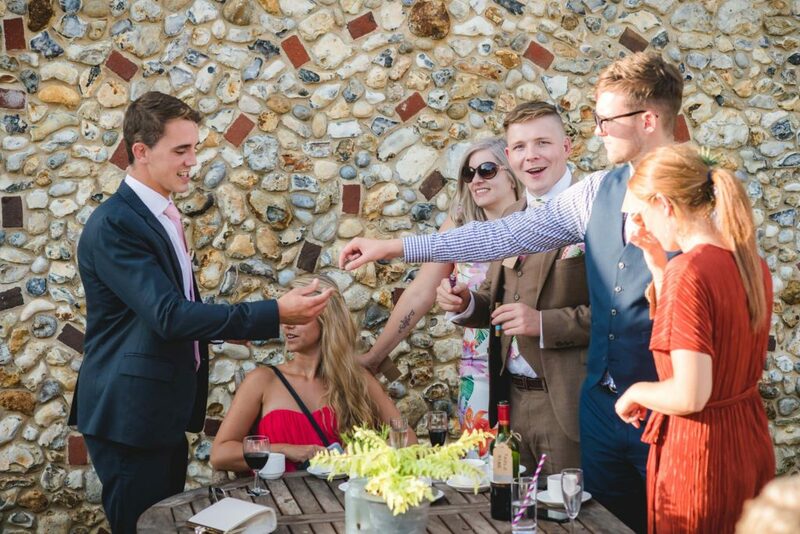 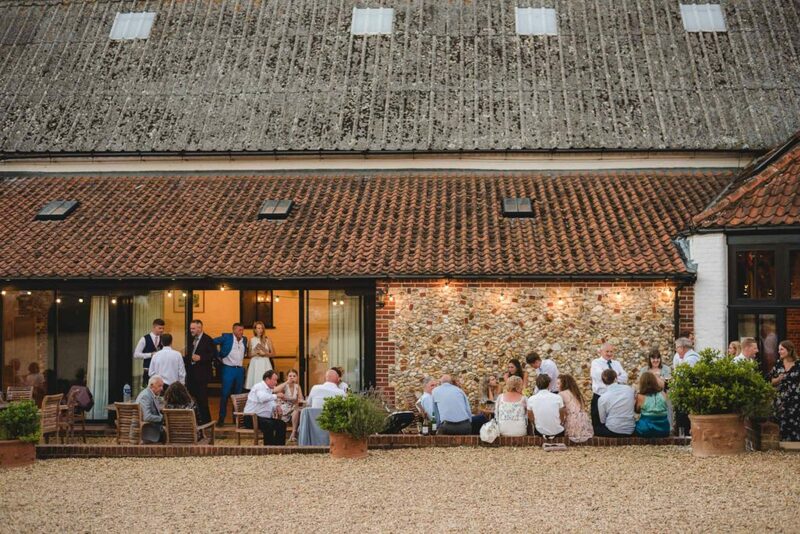 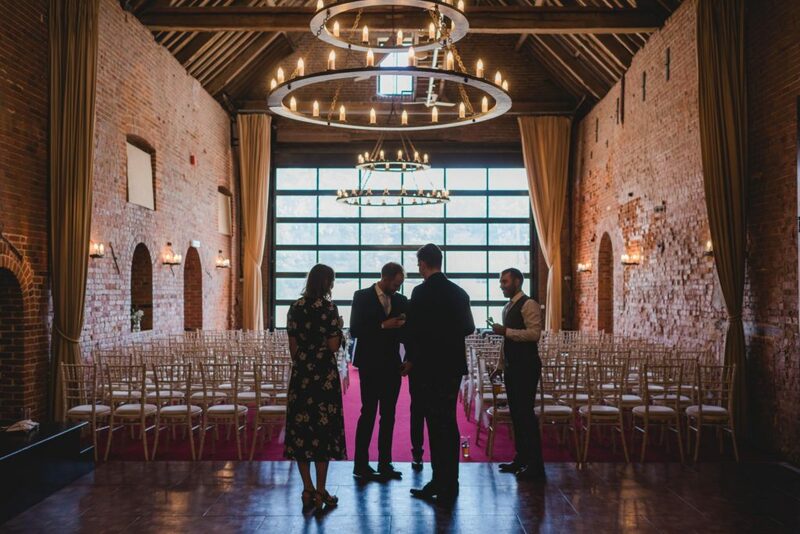 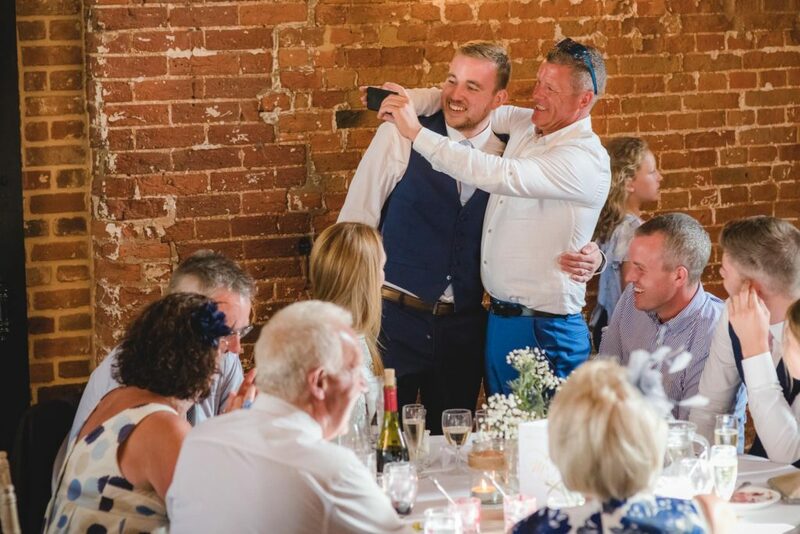 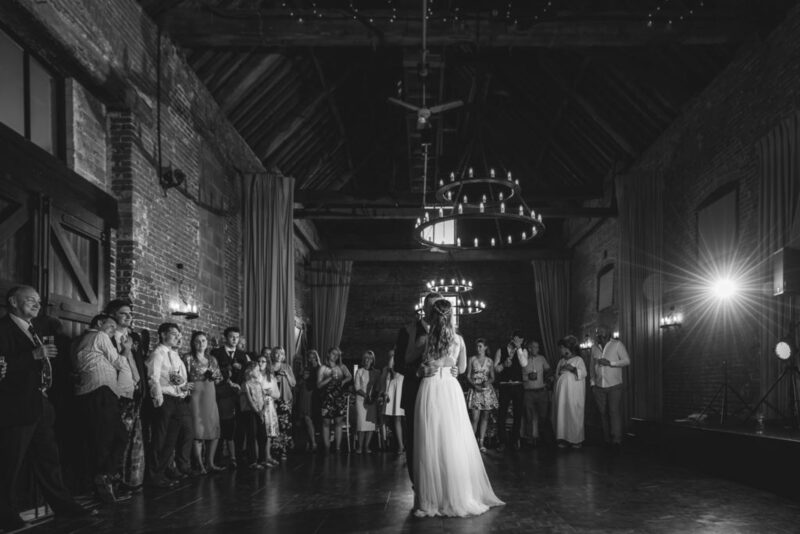 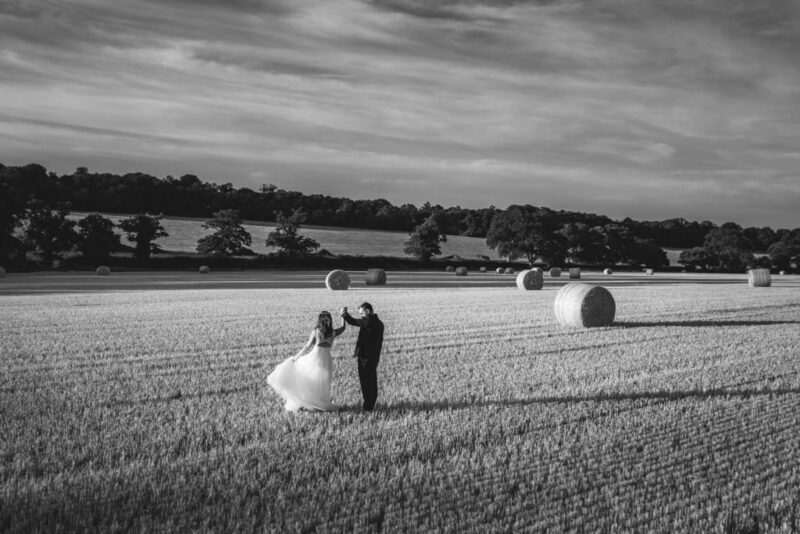 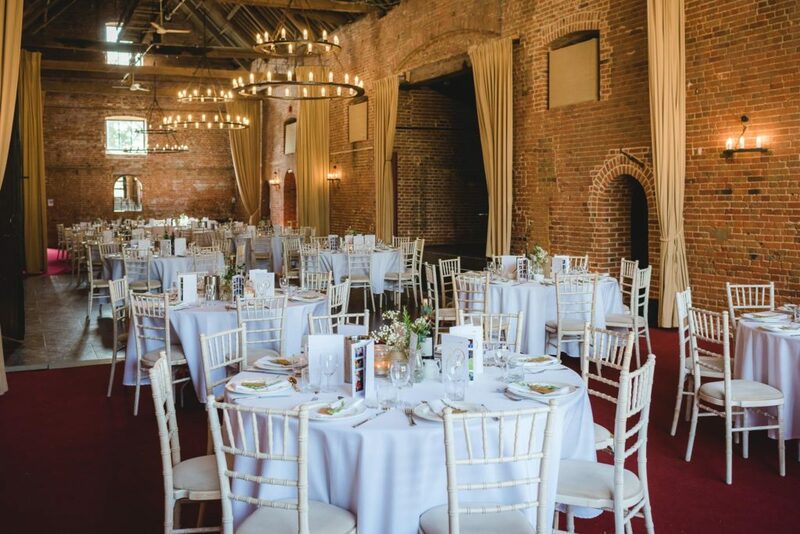 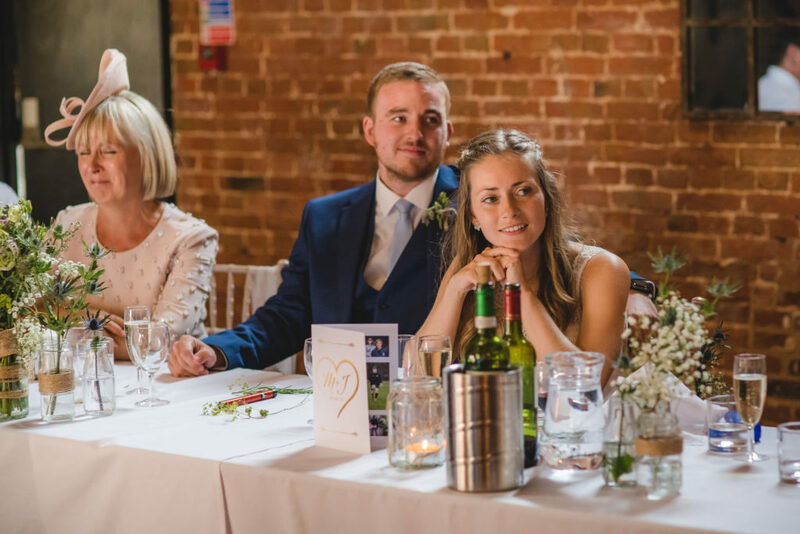 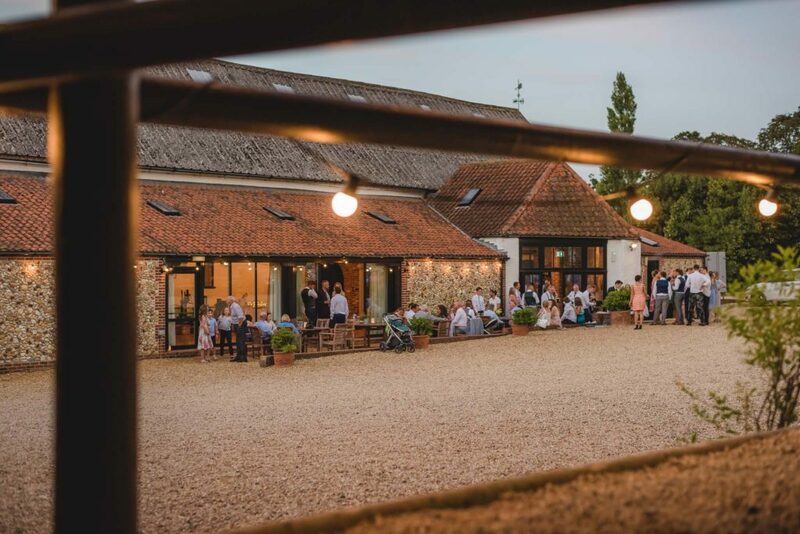 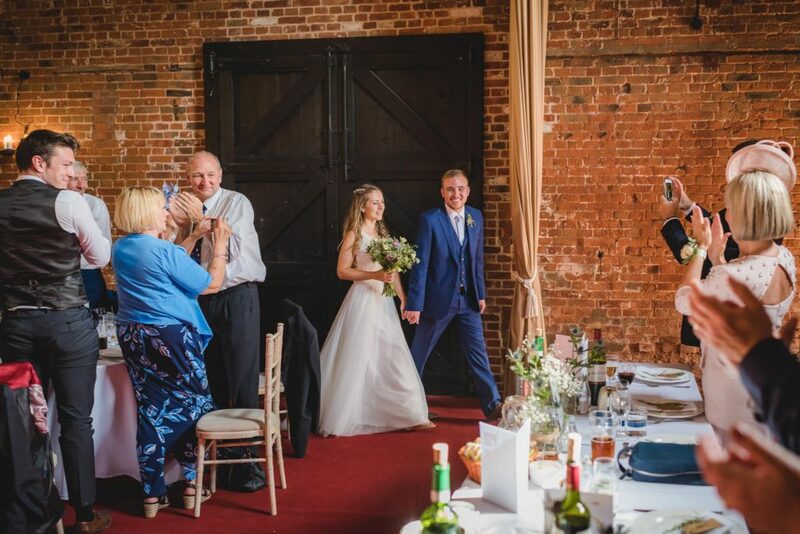 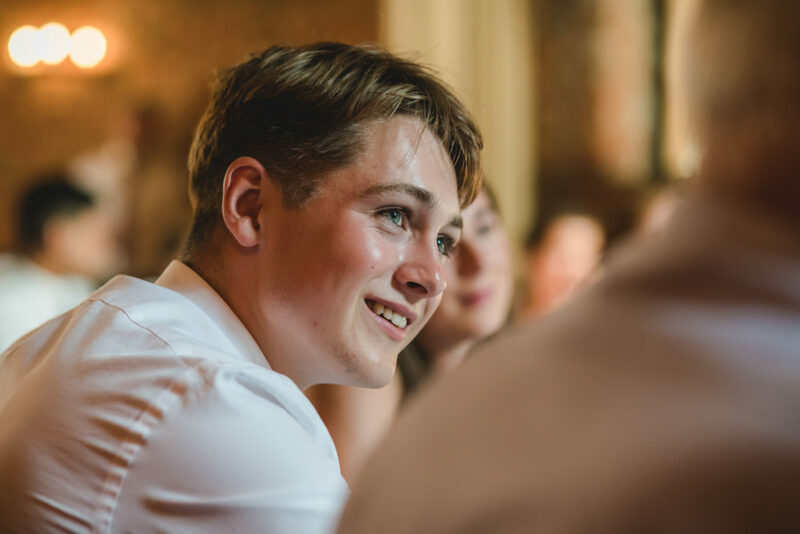 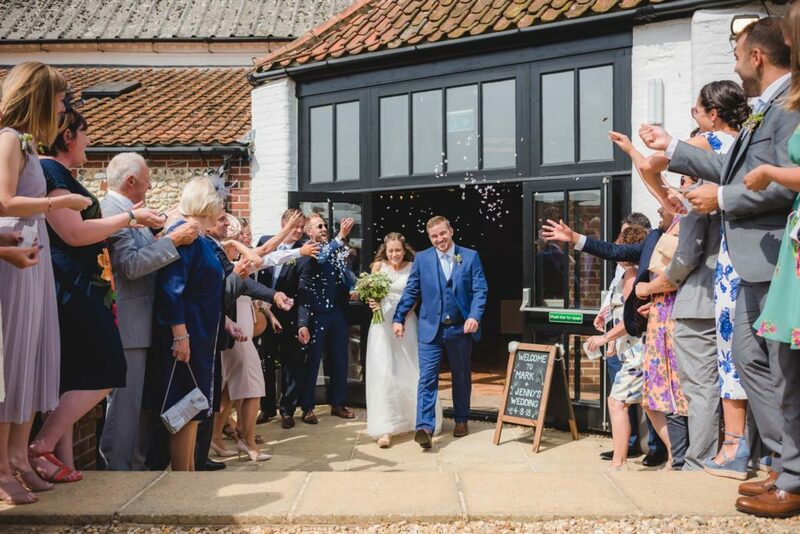 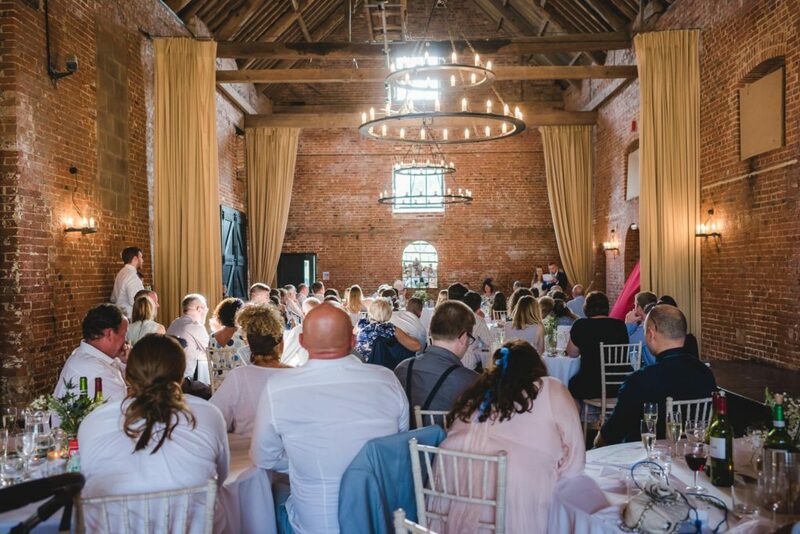 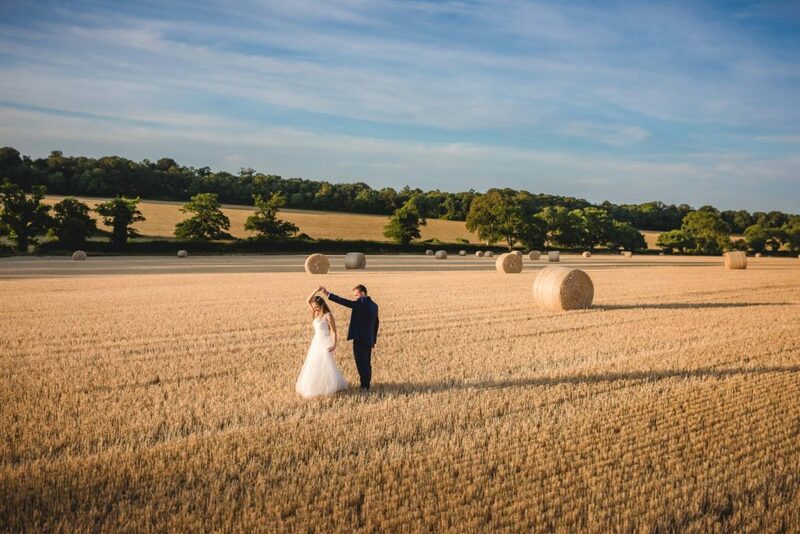 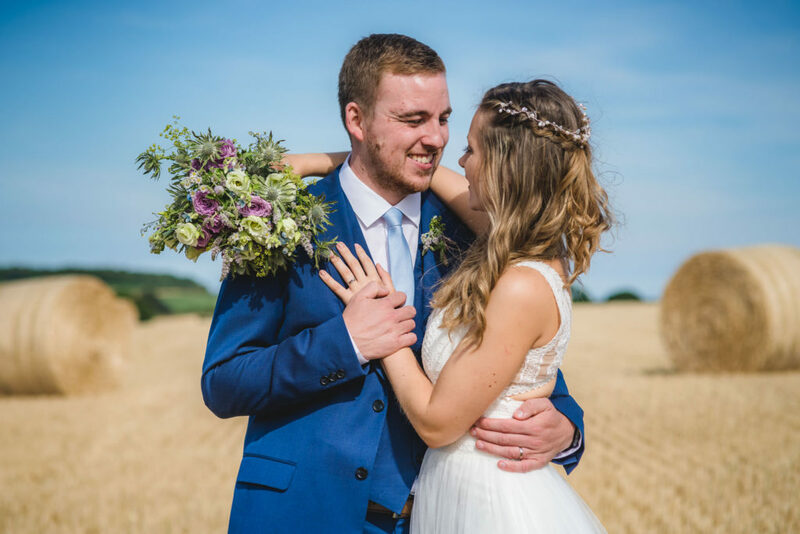 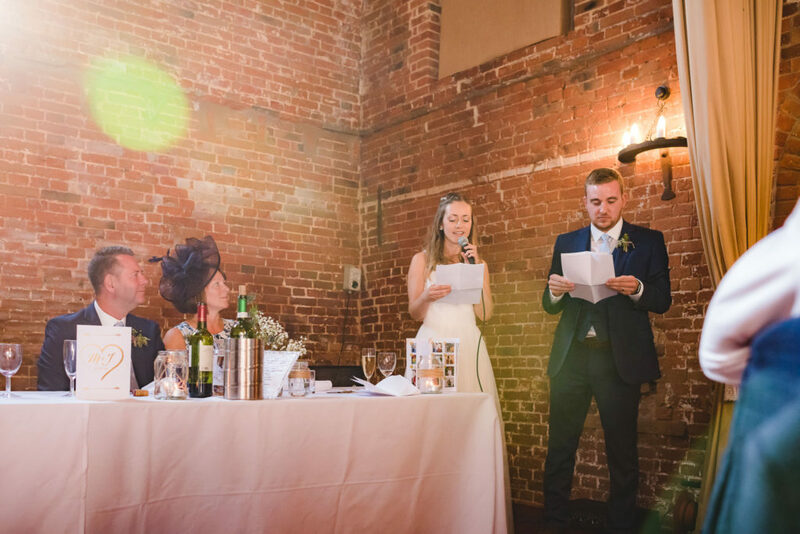 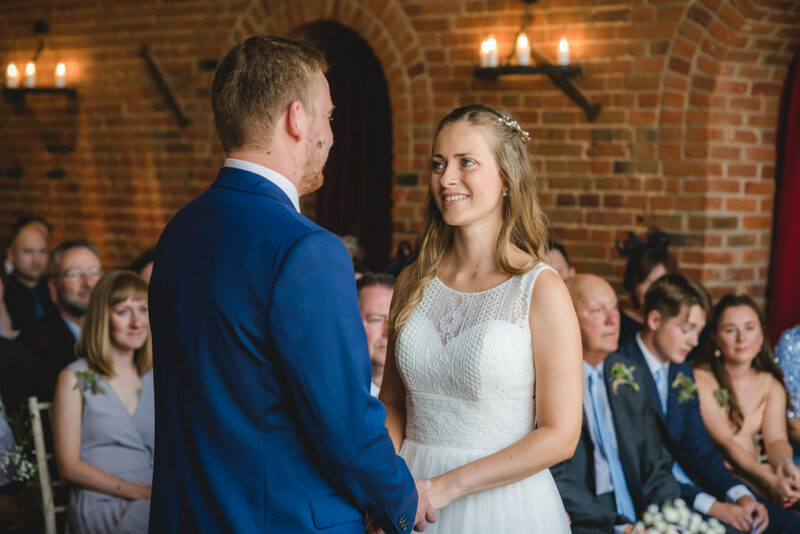 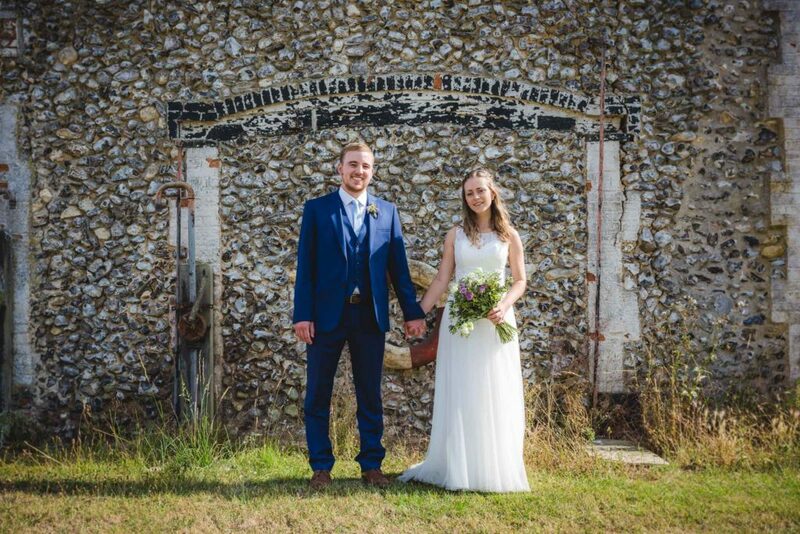 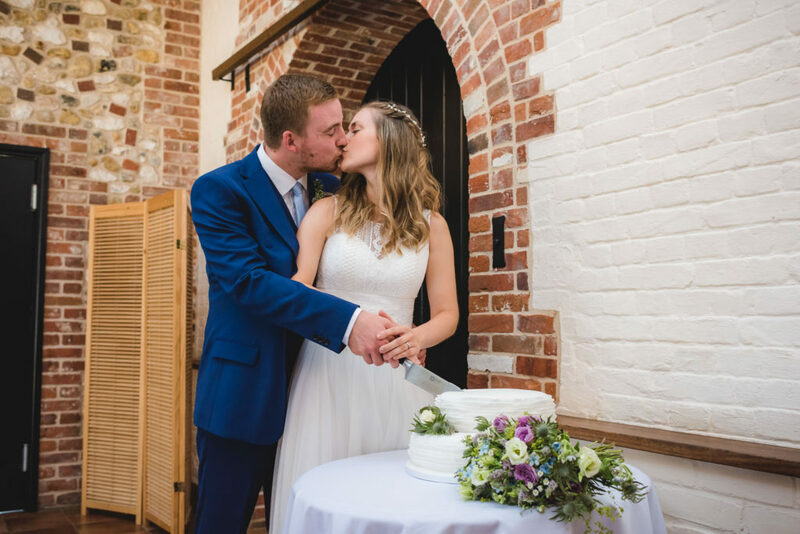 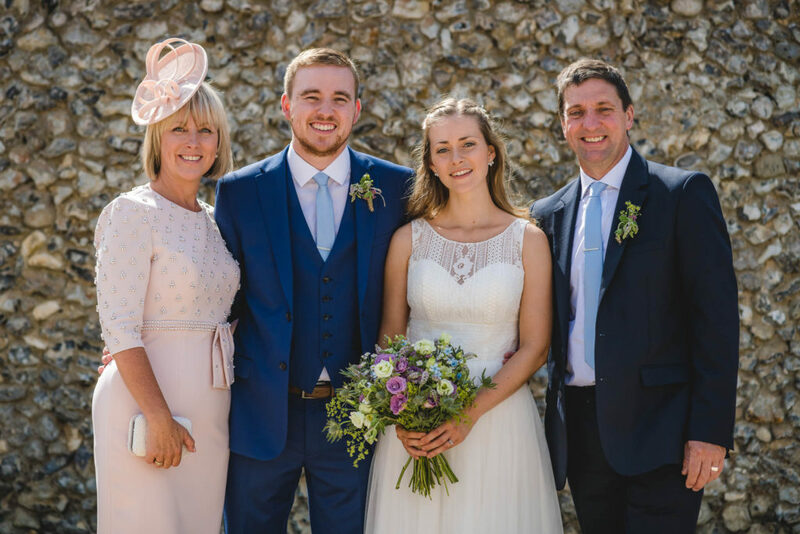 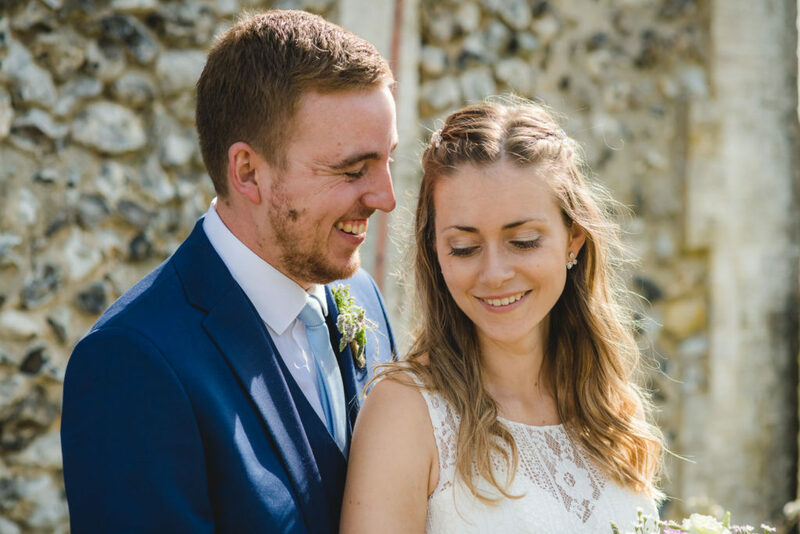 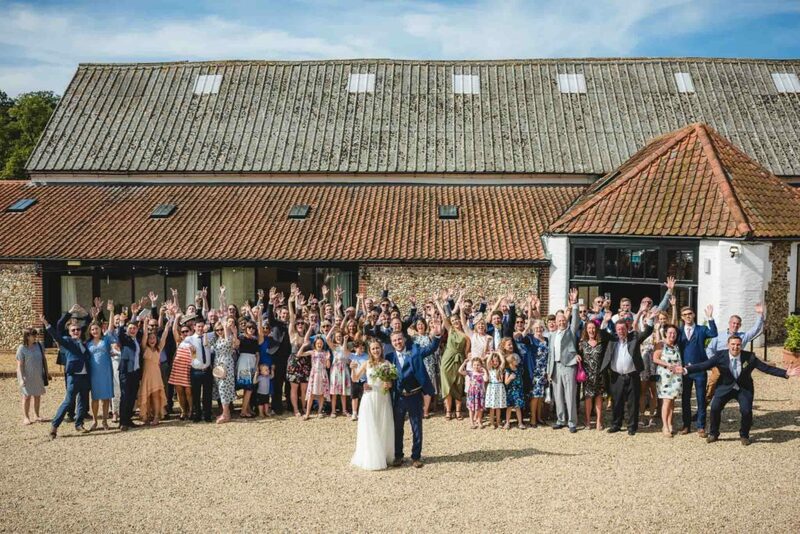 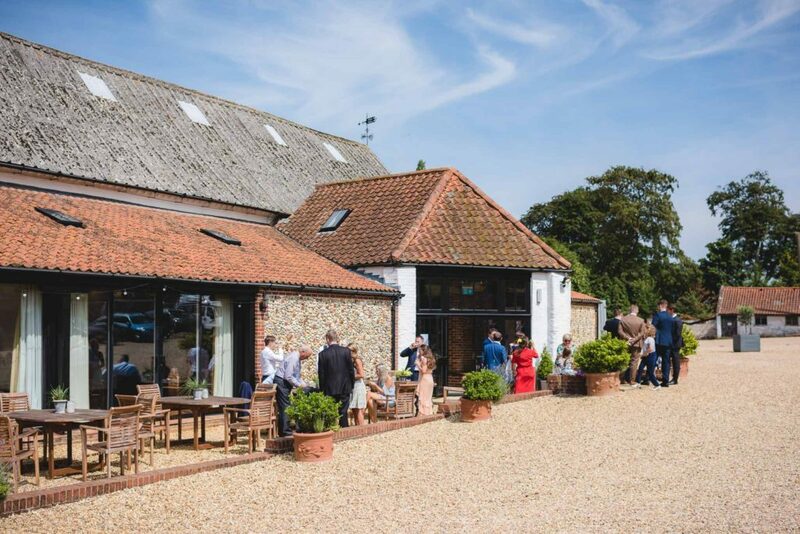 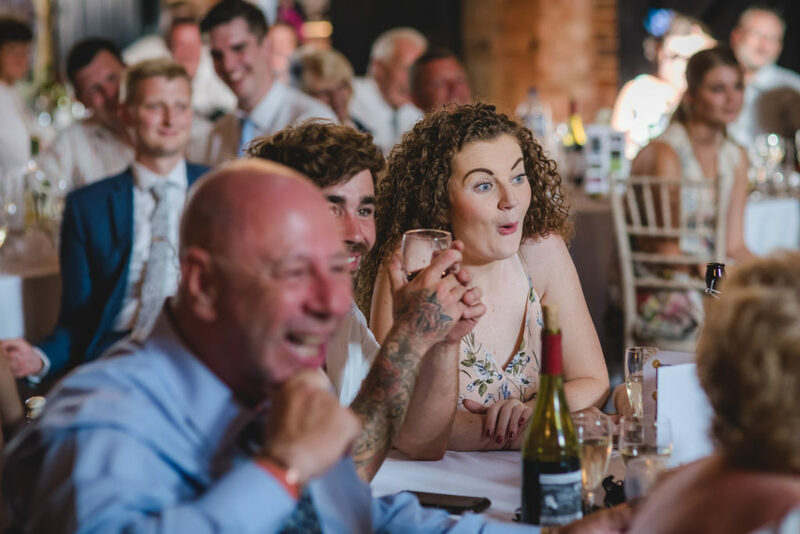 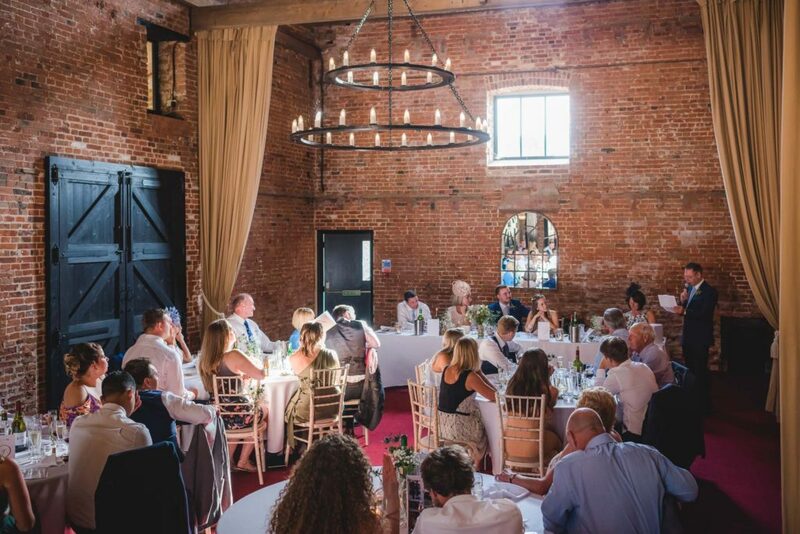 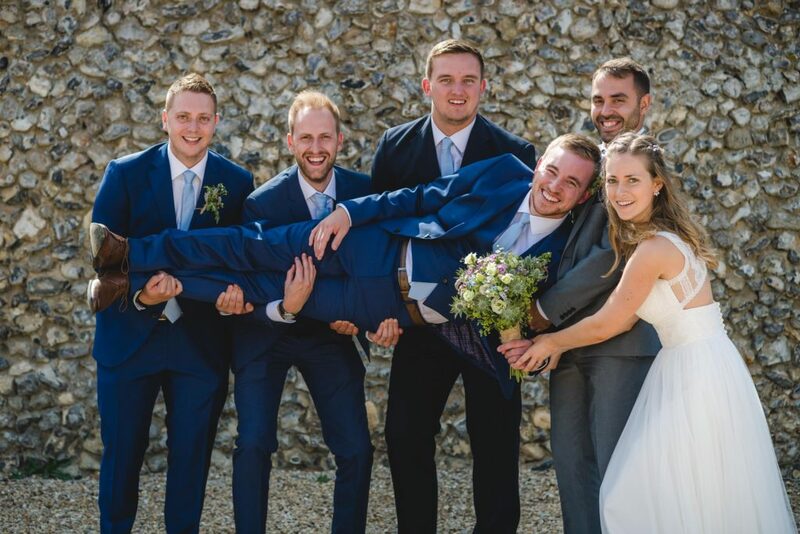 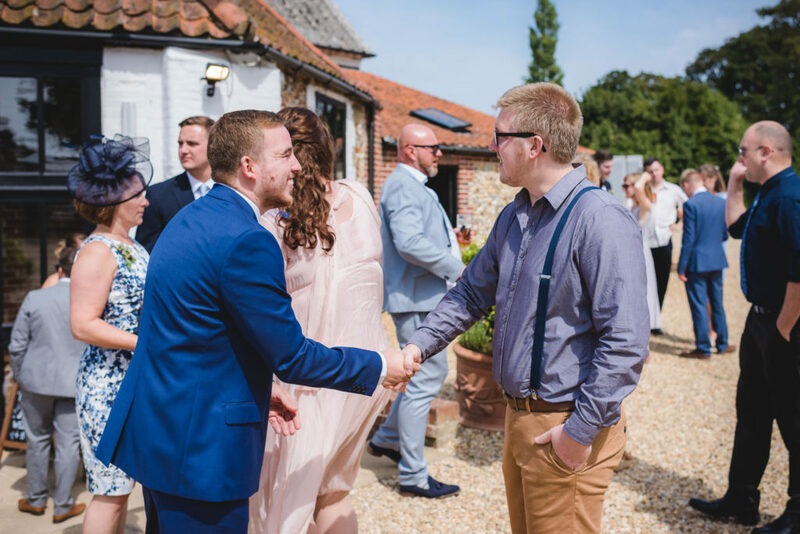 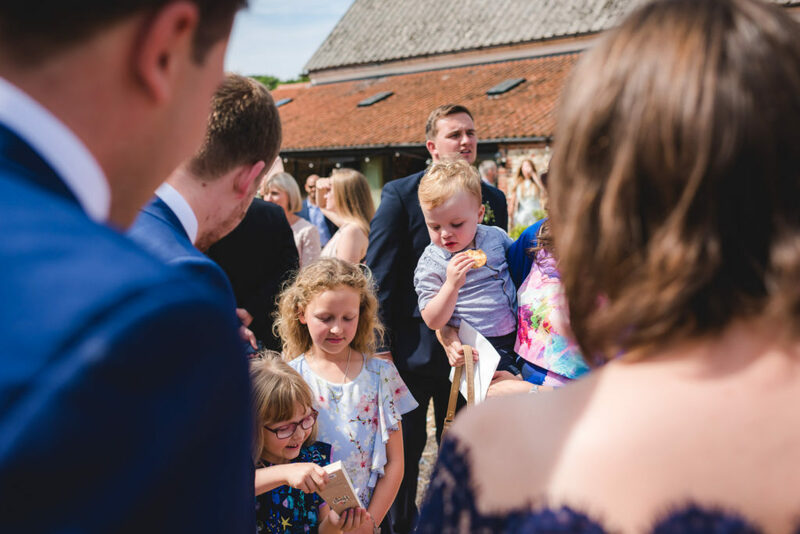 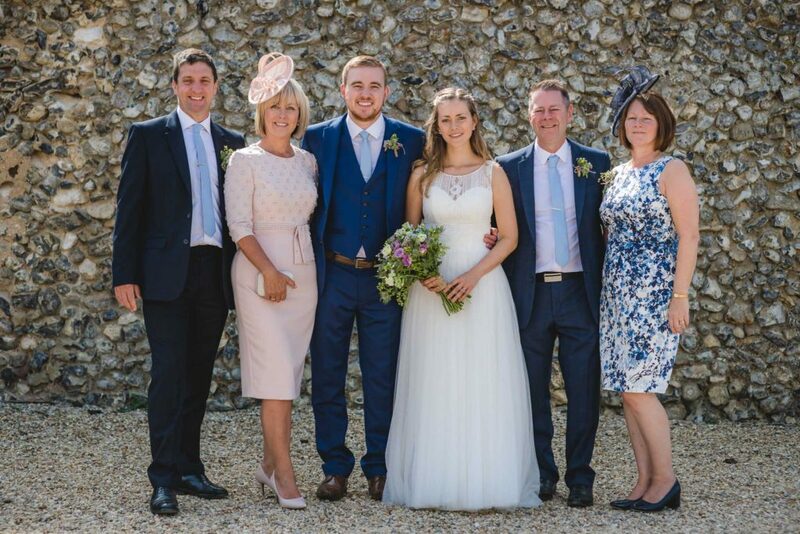 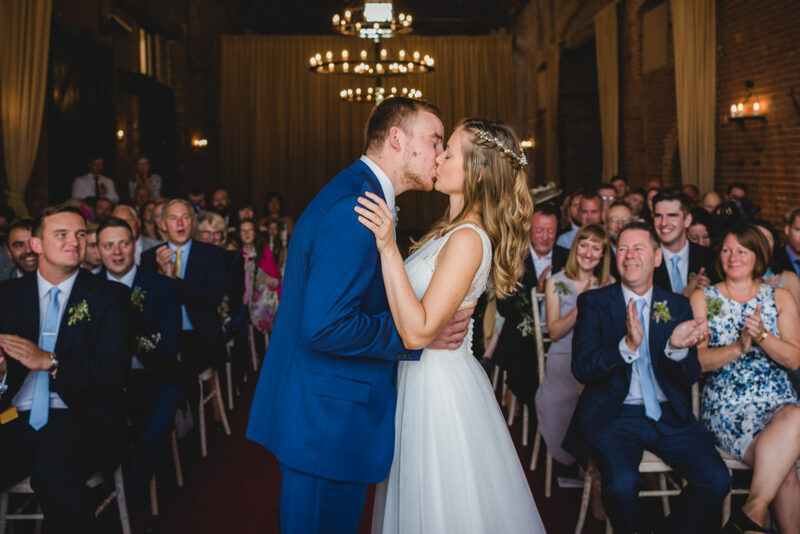 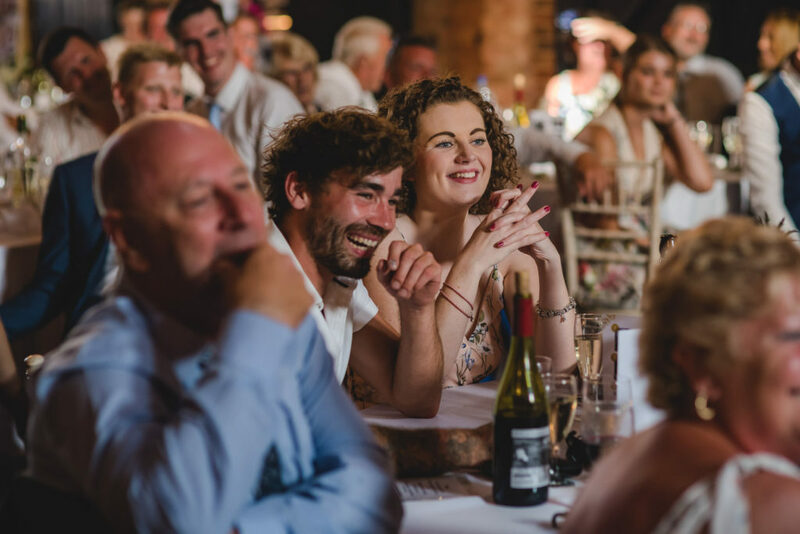 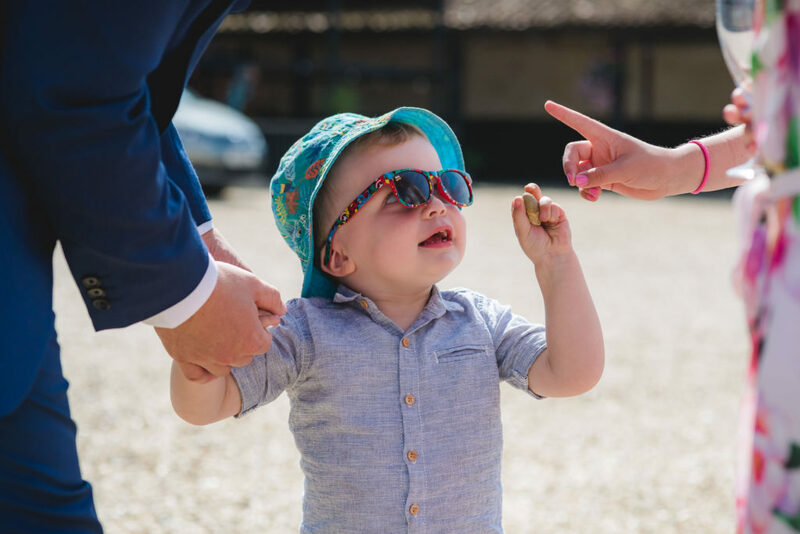 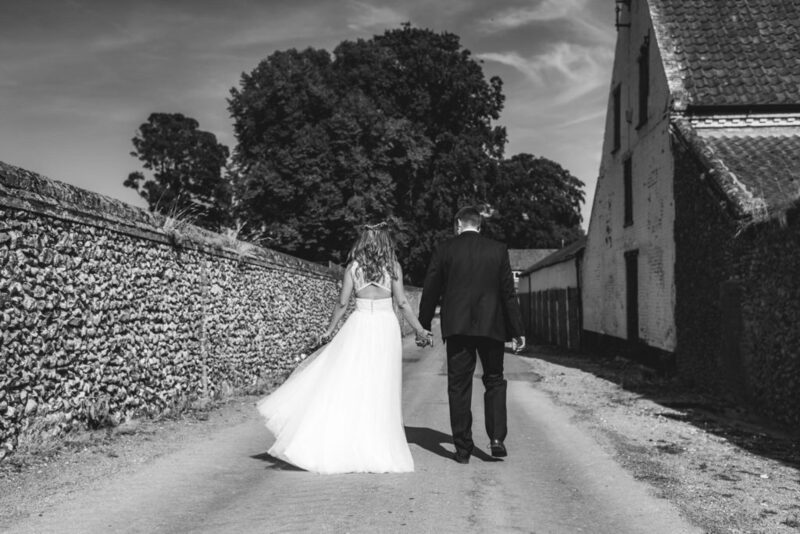 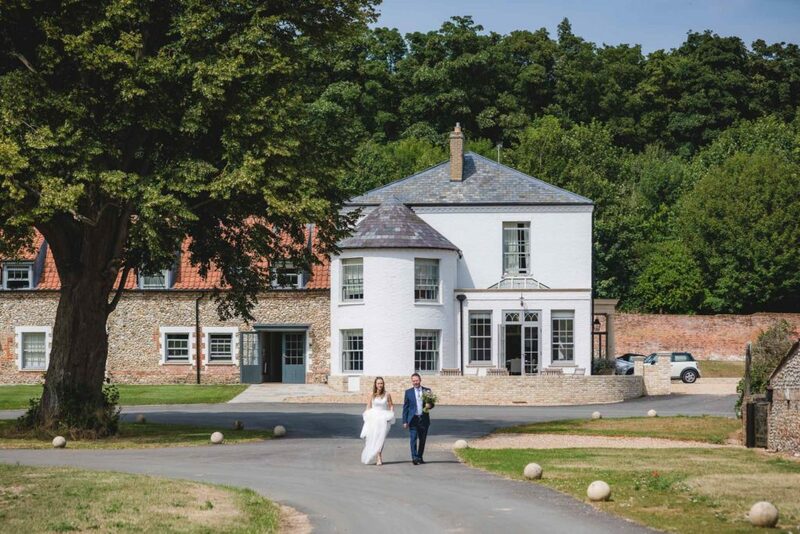 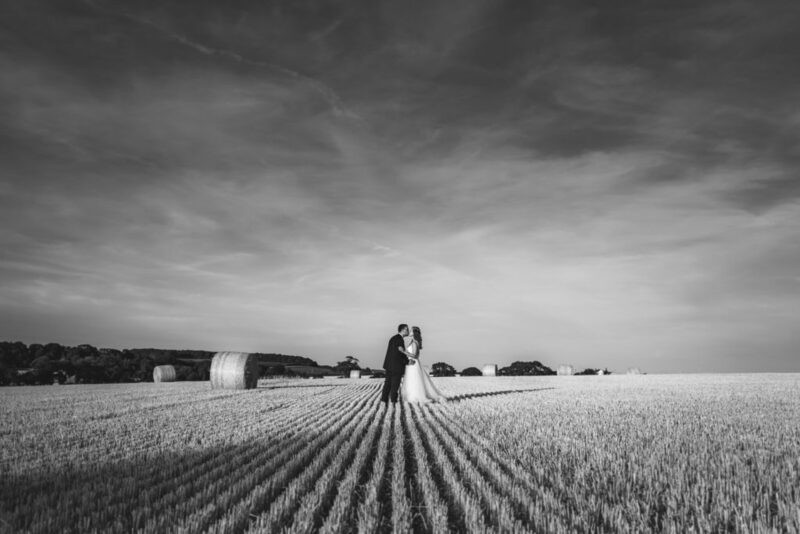 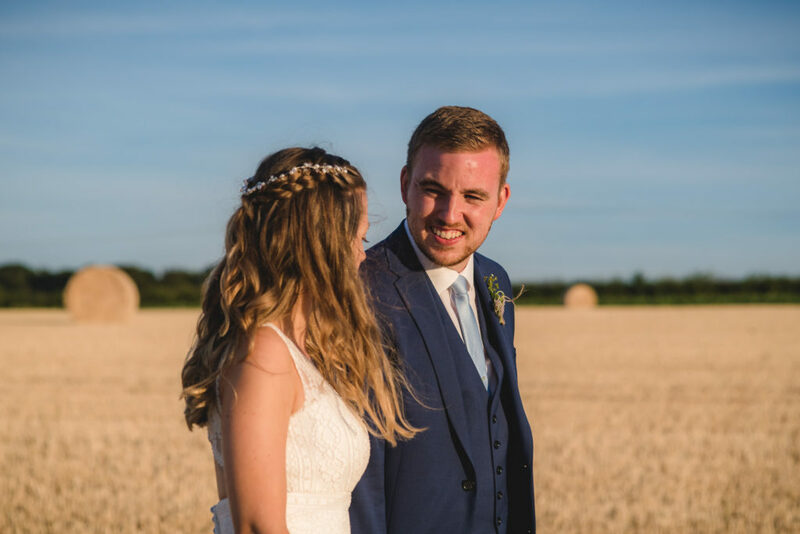 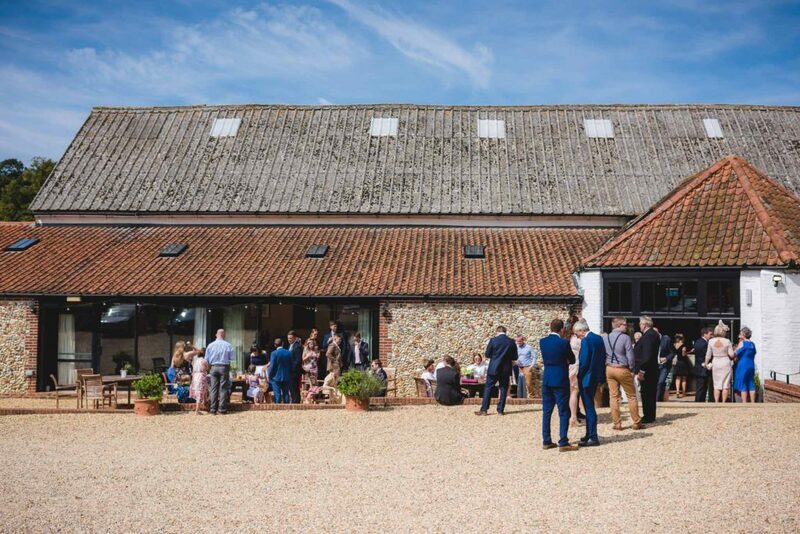 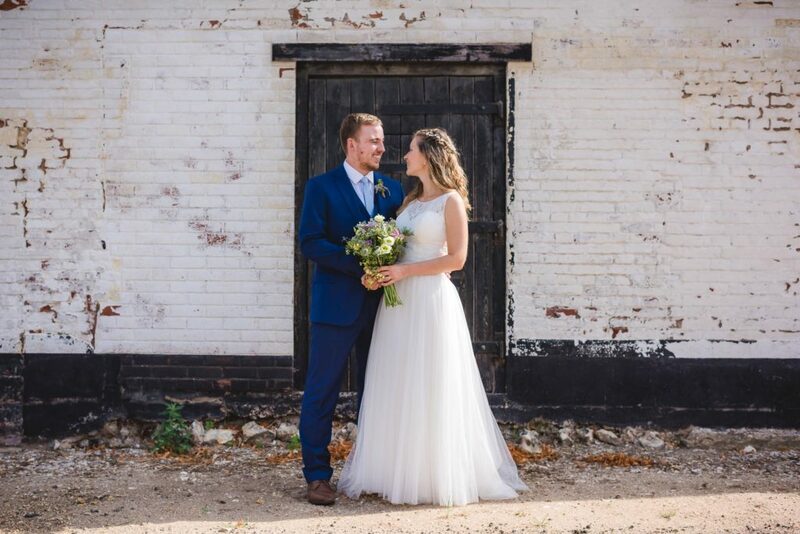 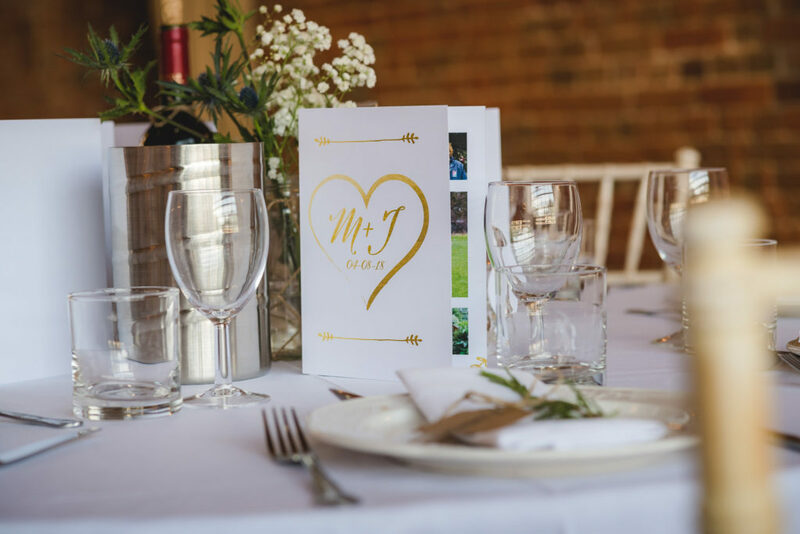 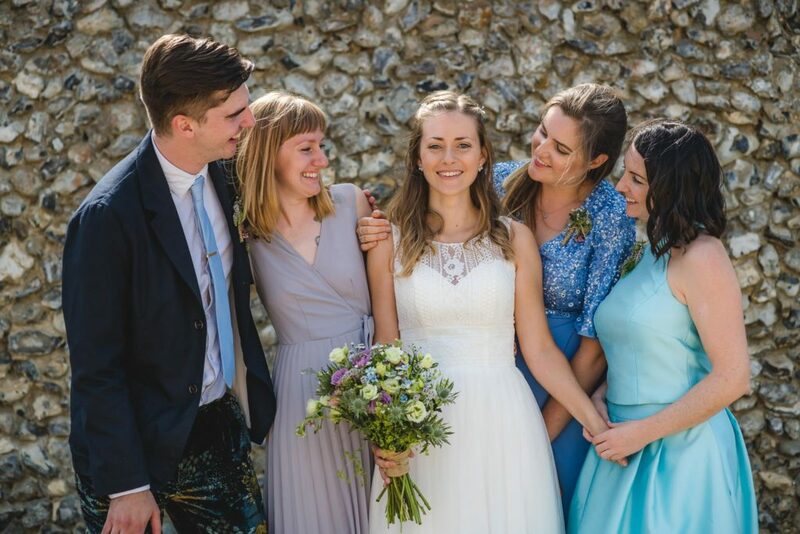 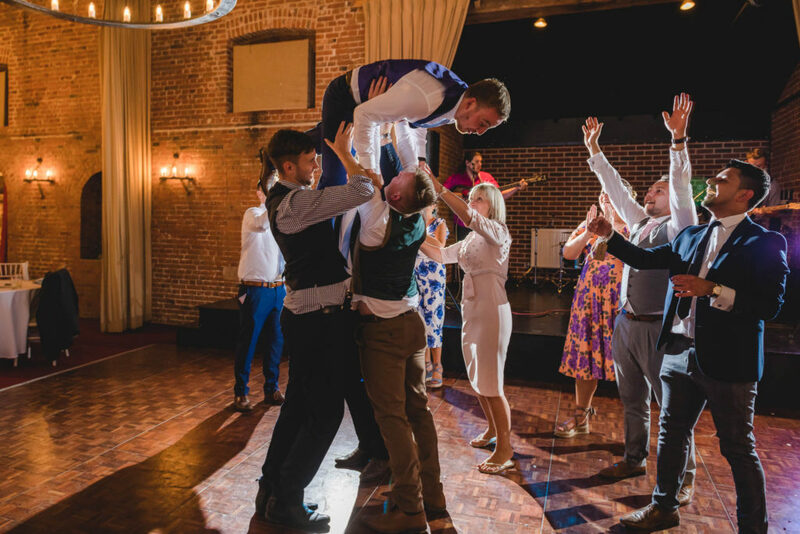 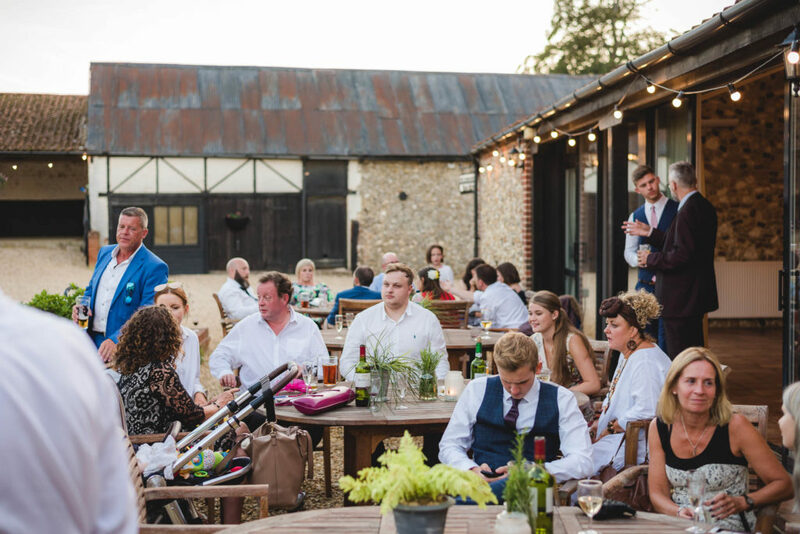 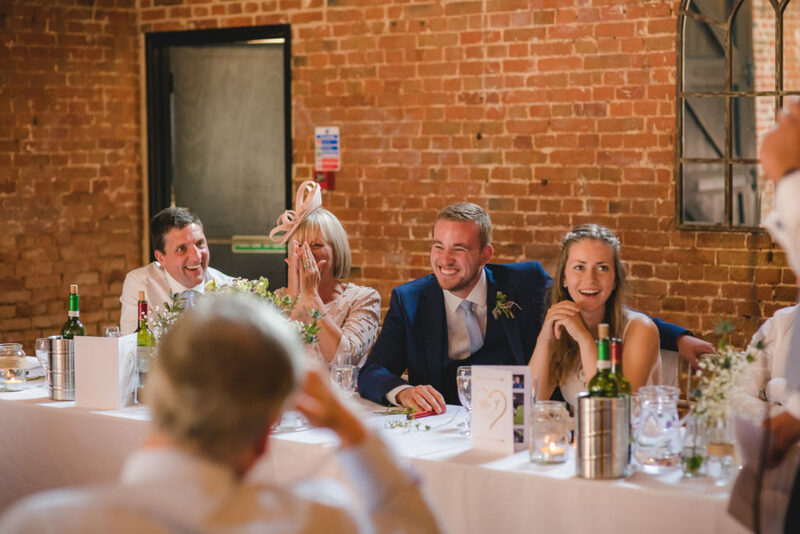 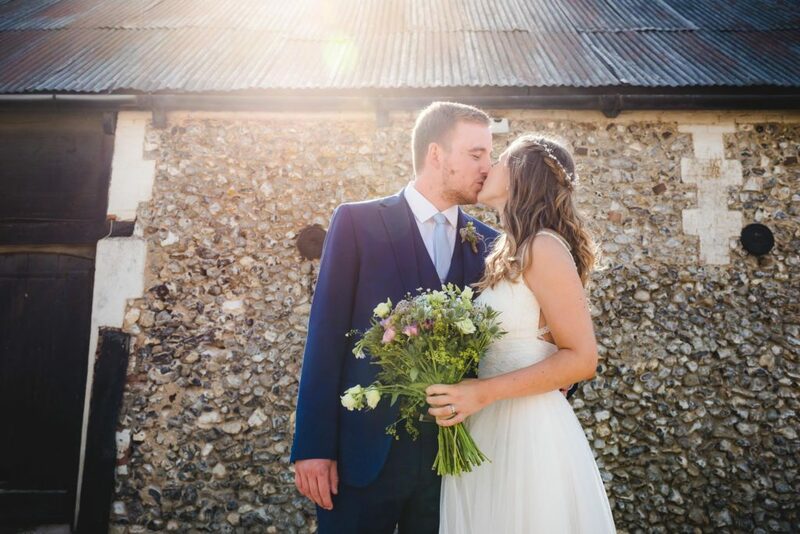 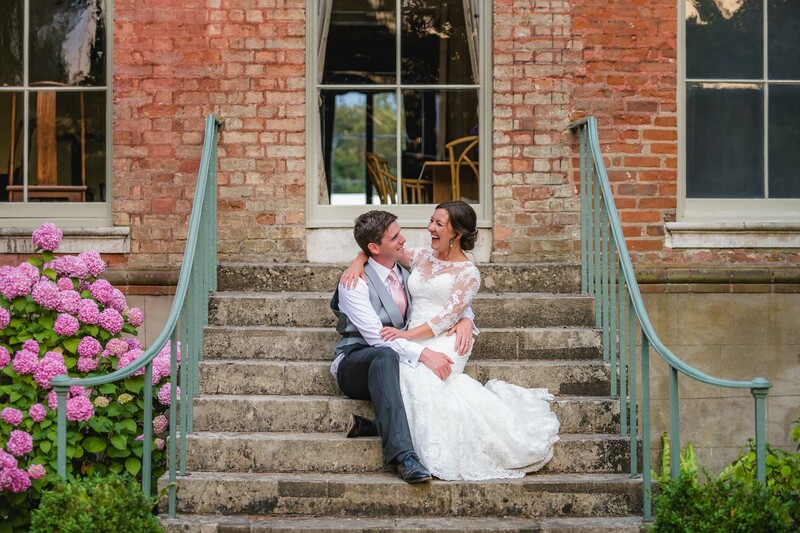 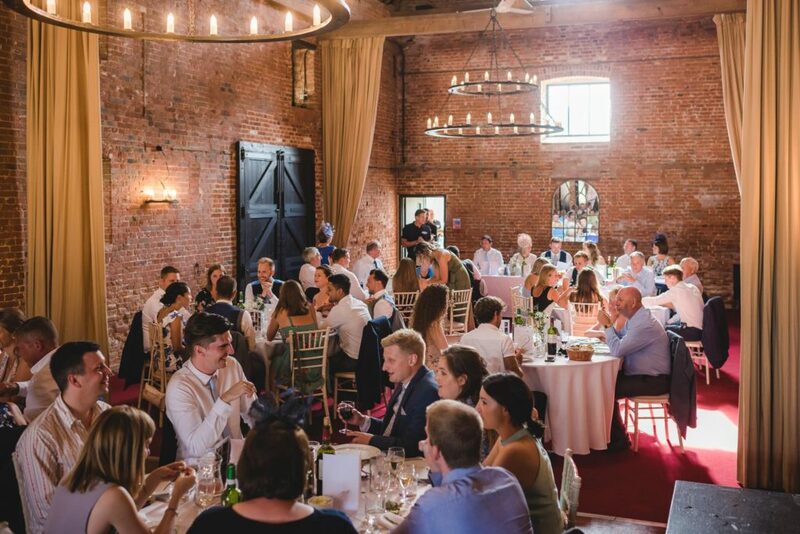 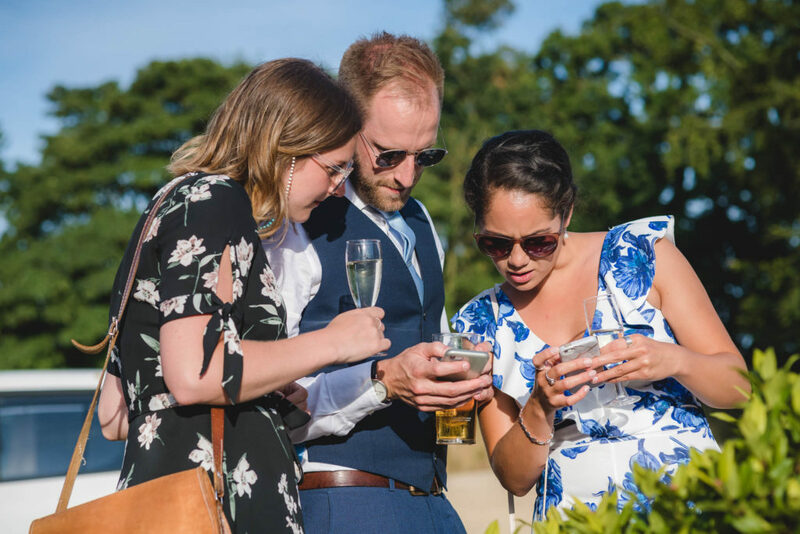 It’s not just about the countryside though, Sussex Barn is set amongst working stables and other Norfolk flint farm buildings, and so you’re spoilt for choice when it comes to pictures. 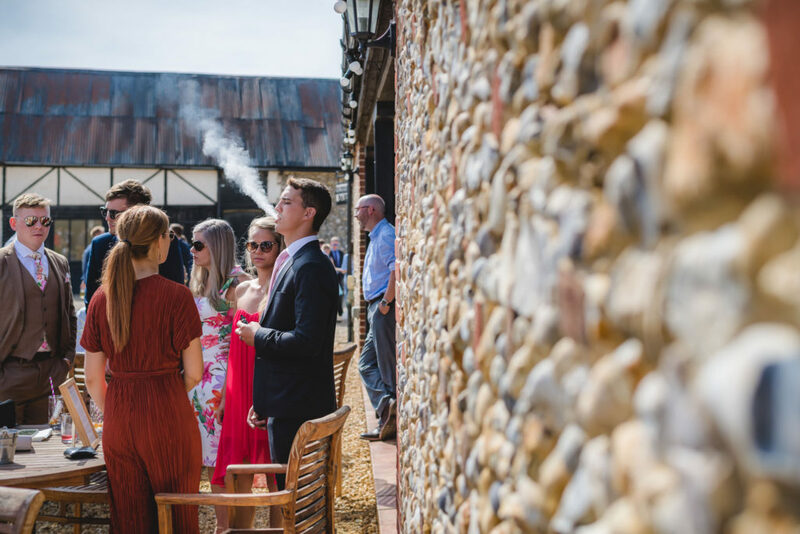 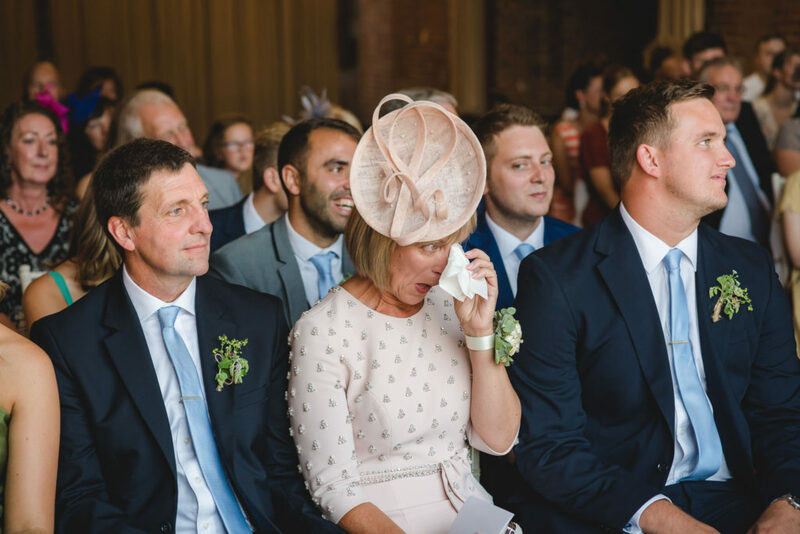 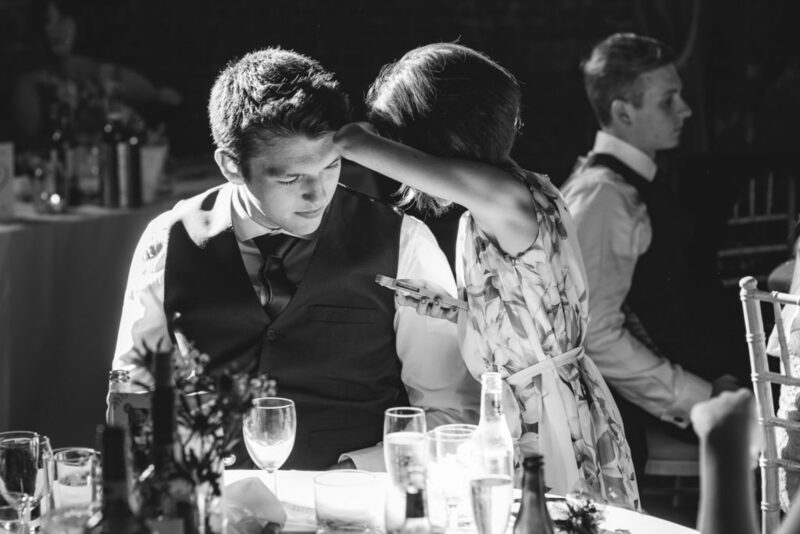 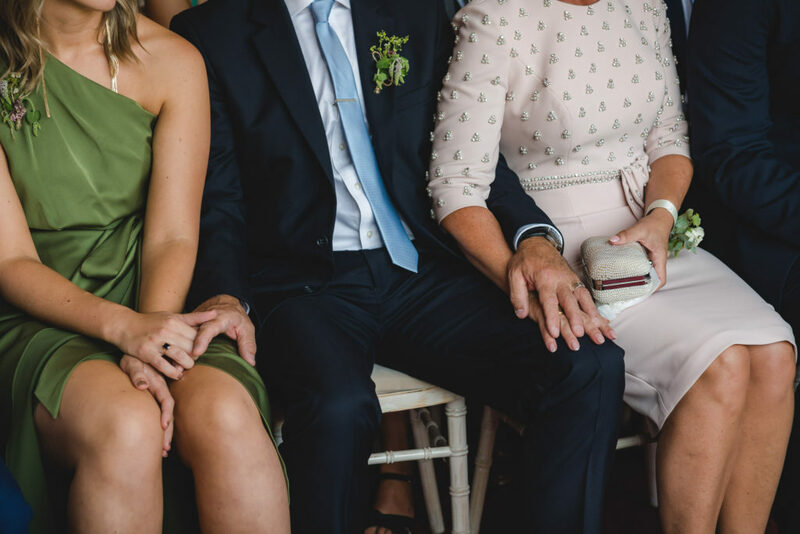 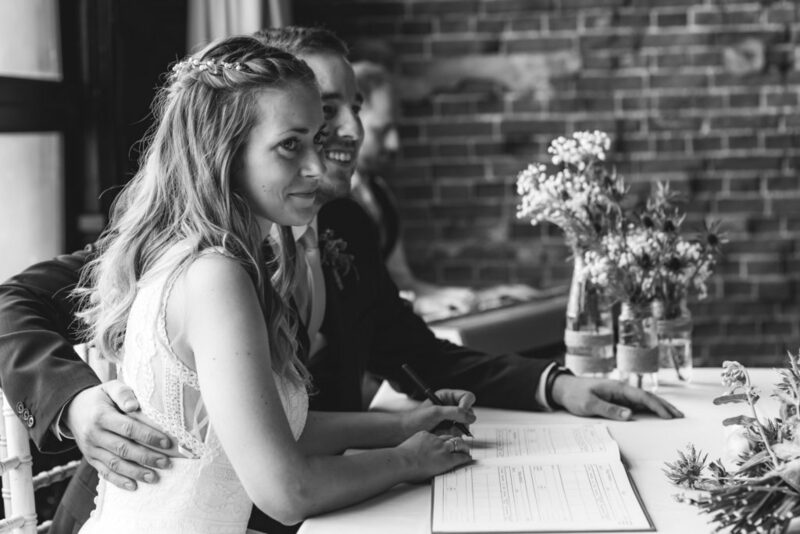 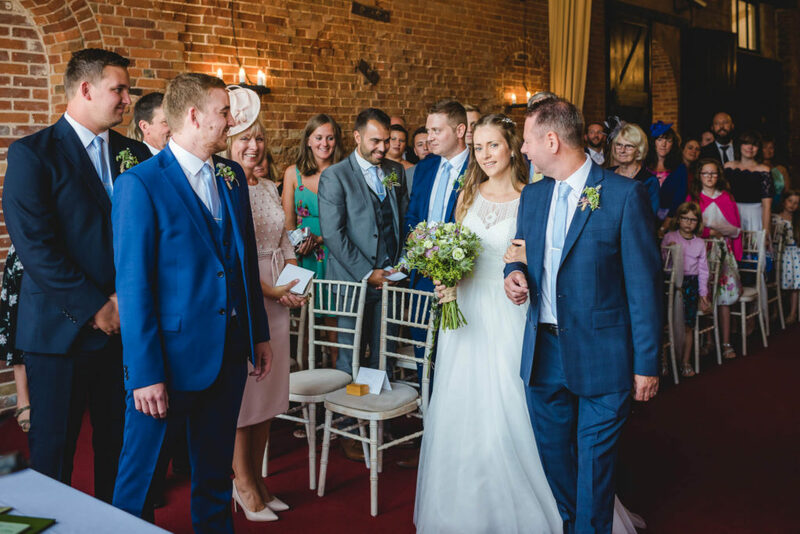 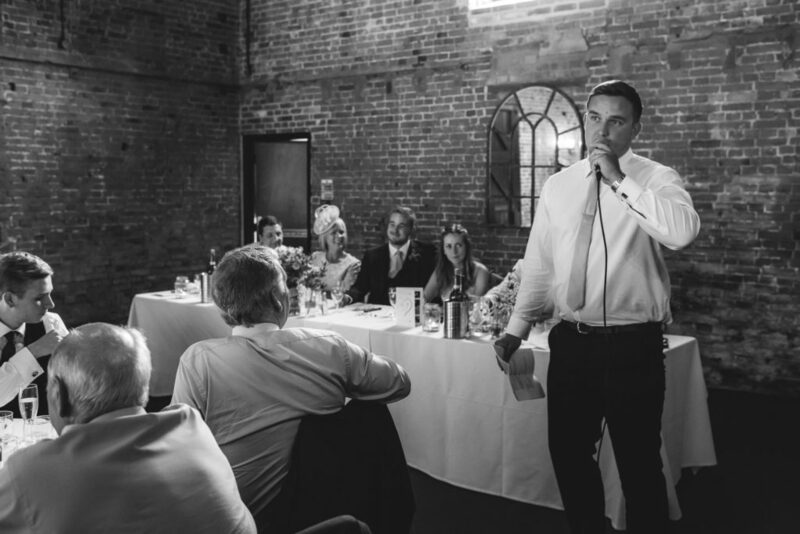 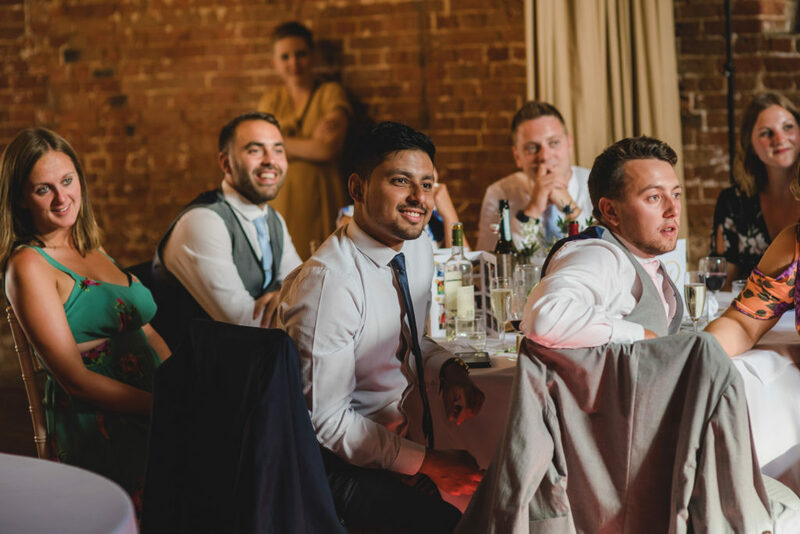 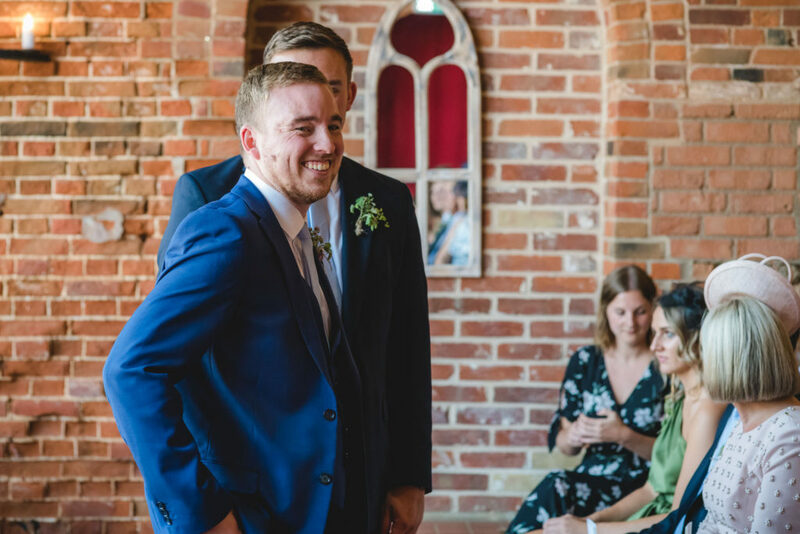 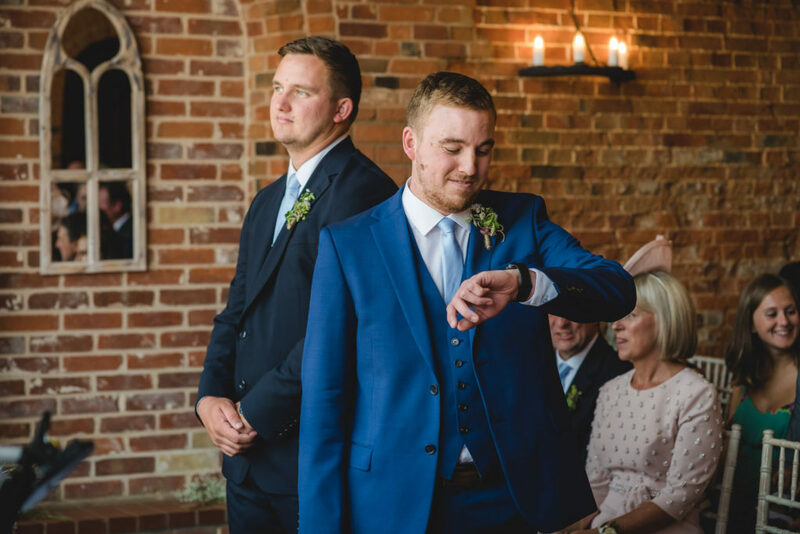 The days photography began shortly before the wedding ceremony, with guests arriving and finding their seats inside Sussex Barn. 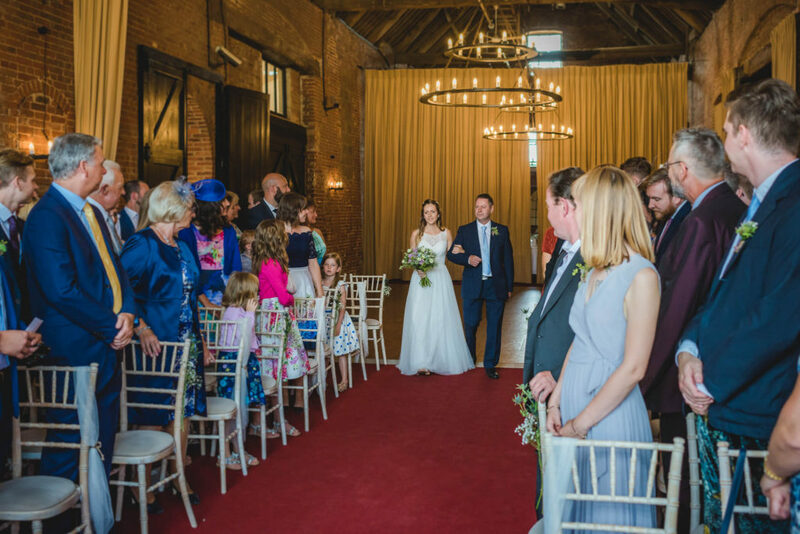 The vows were exchanged at the far end of the barn where there’s abundant natural light coming from a wall of windows, making for good light for photography. 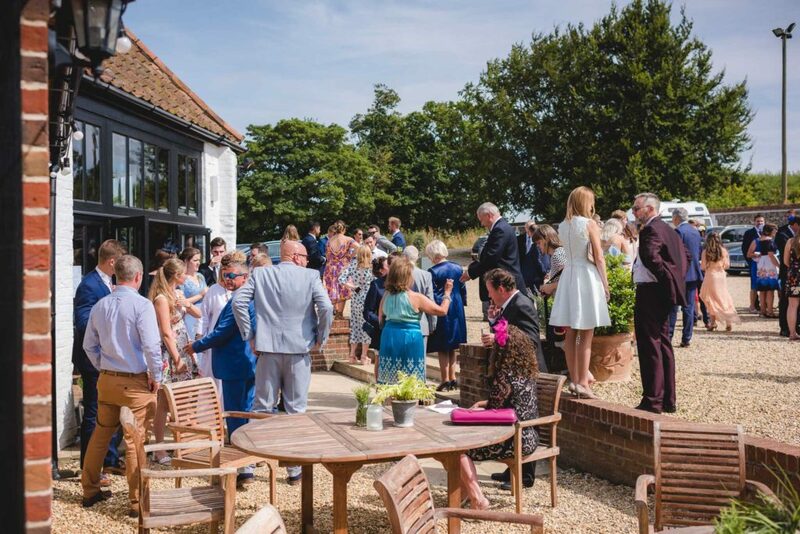 Afterwards everyone made their way outside as it was a beautiful summers day with glorious sunshine. 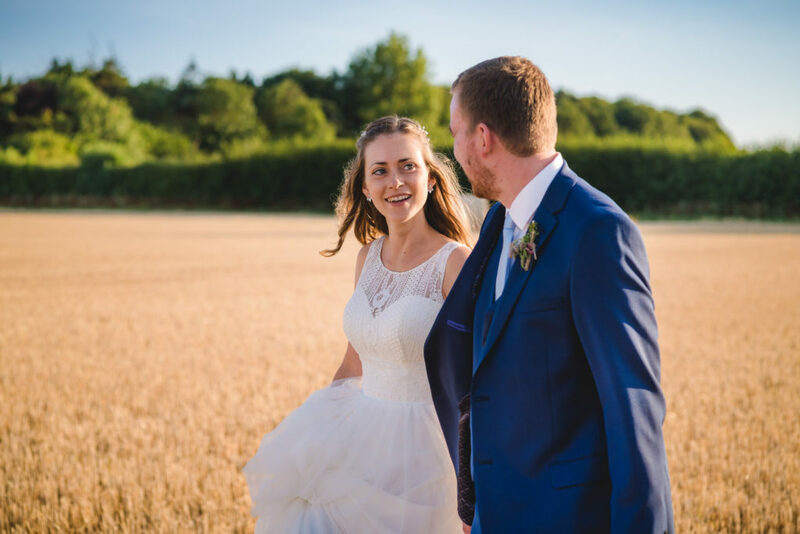 We made time for family photos and an explore with Jenny and Mark to create some beautiful couple portraits, but I knew it’d be great to head back later in the day when the light was even more suited to portraits. 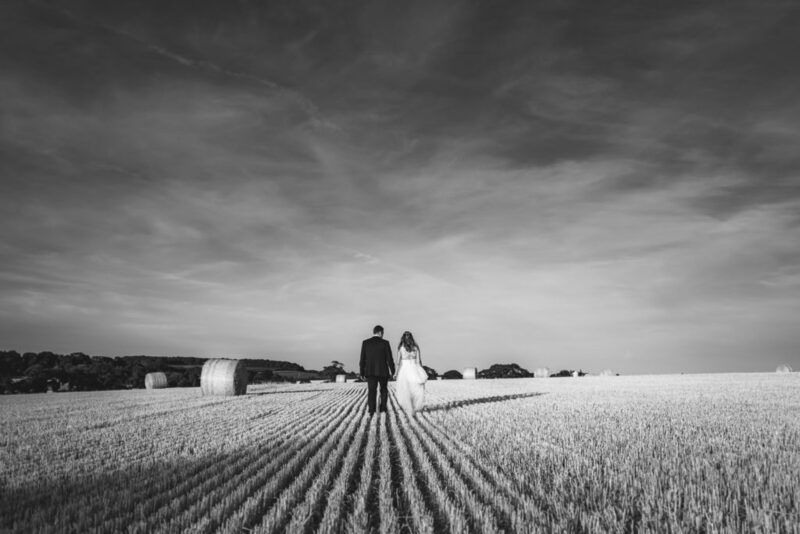 After dinner and hilarious speeches, we found some more time to head out once more to make the most of this light, and allow Jenny and Mark some time alone to reflect on their day. 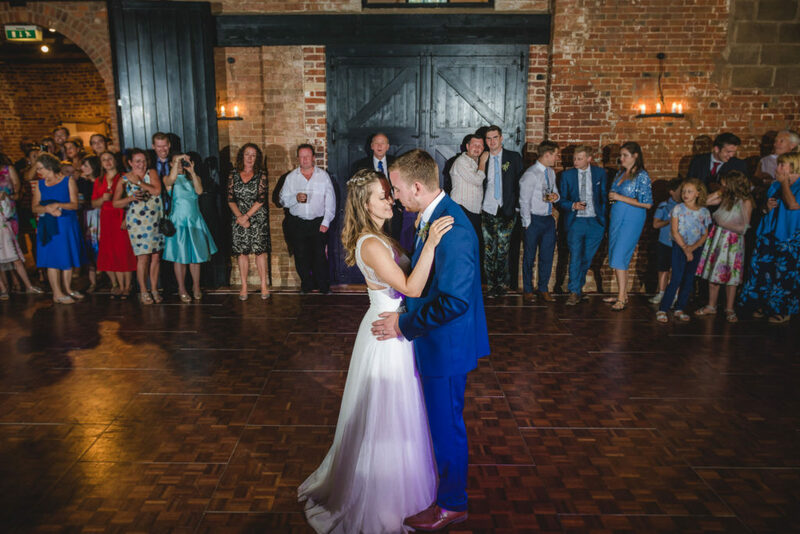 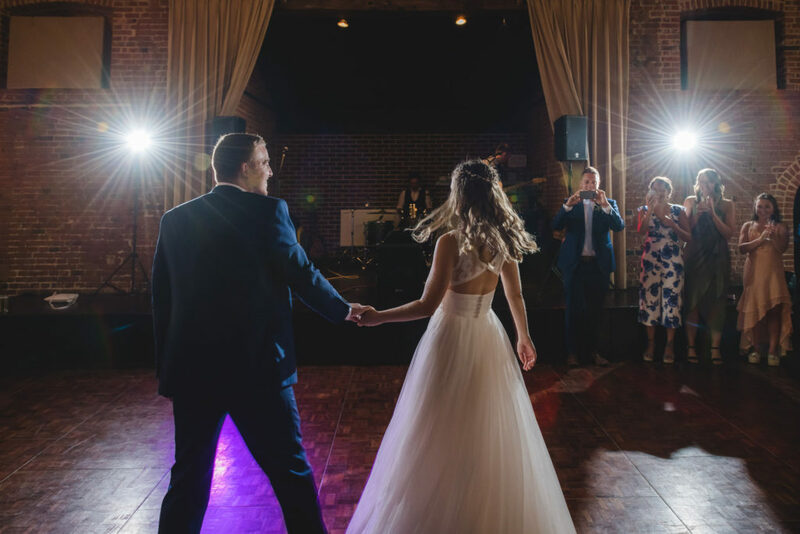 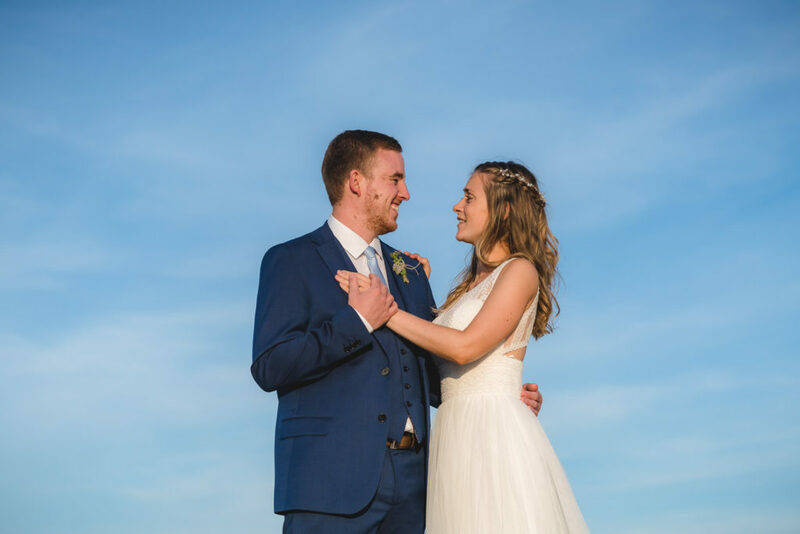 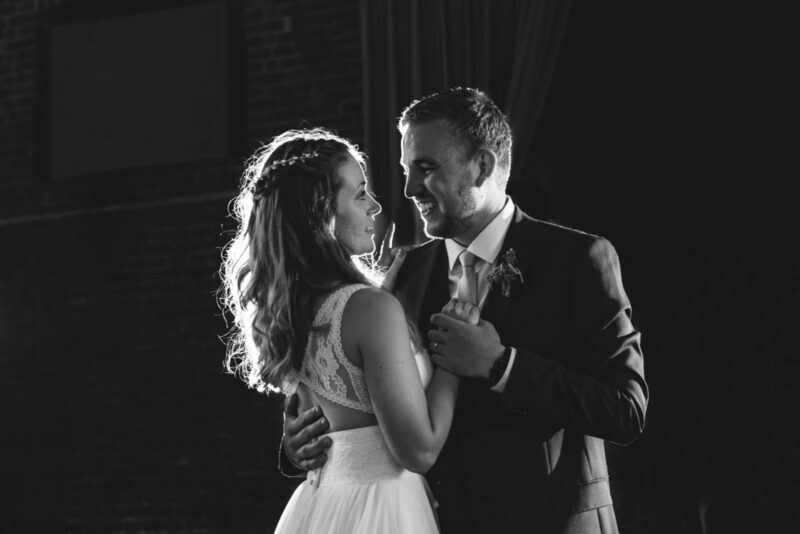 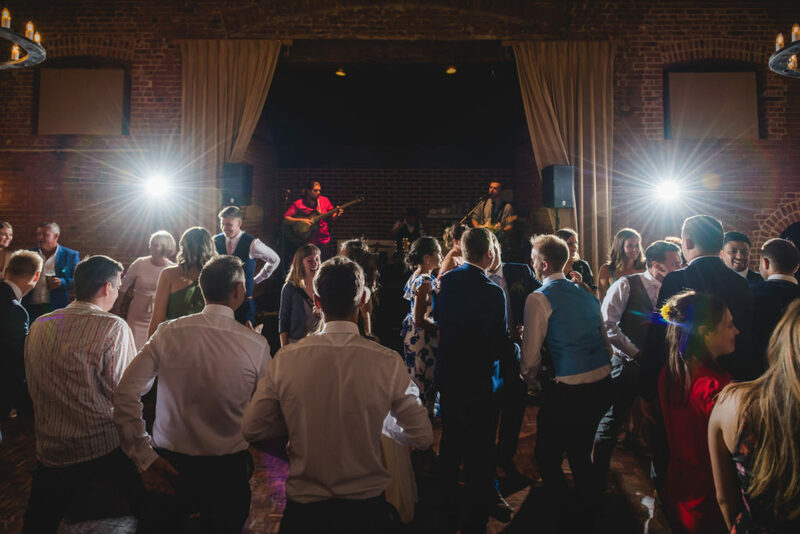 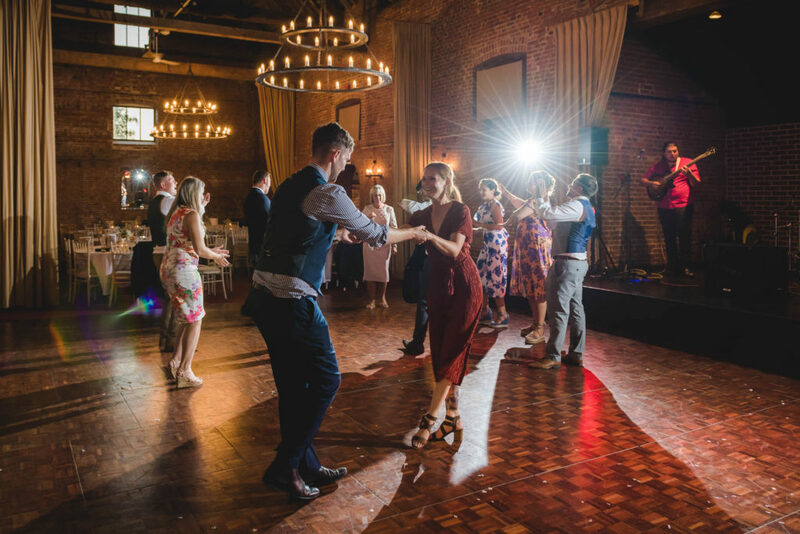 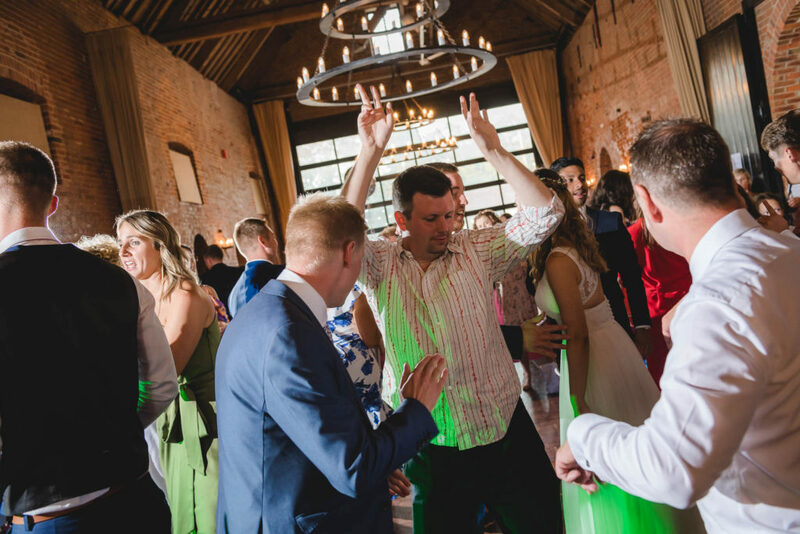 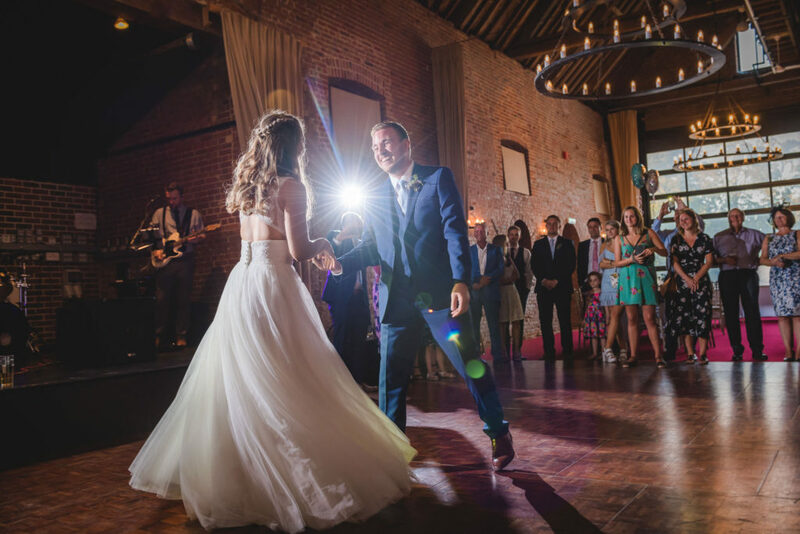 With some great pictures captured, we headed back to the barn for the first dance, cake cut and lots of dance floor action. 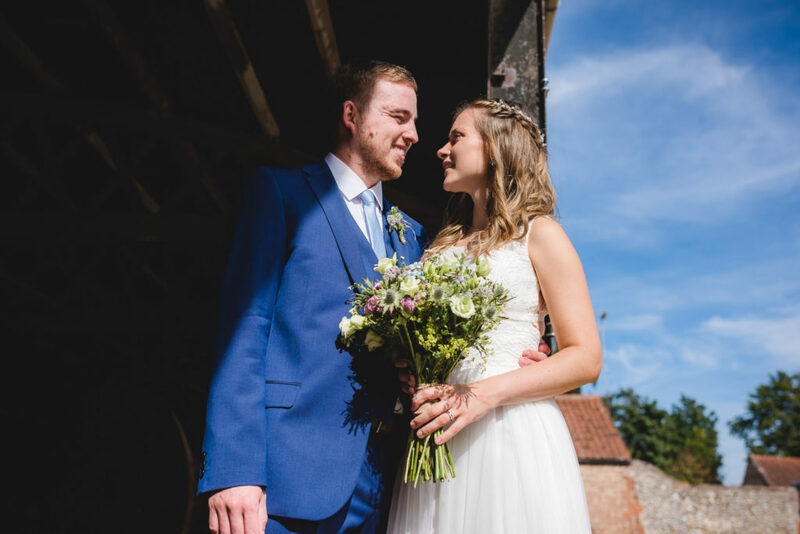 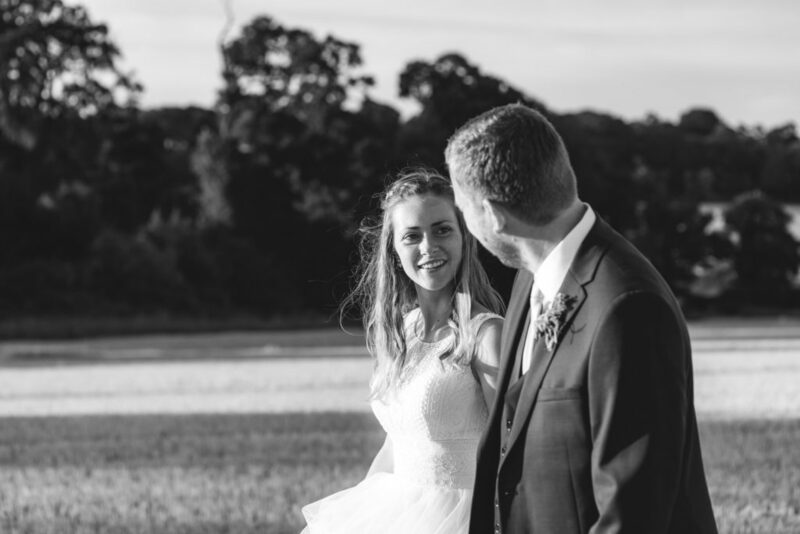 If you’re looking for a wedding photographer for your Sussex Barn wedding then please get in touch!